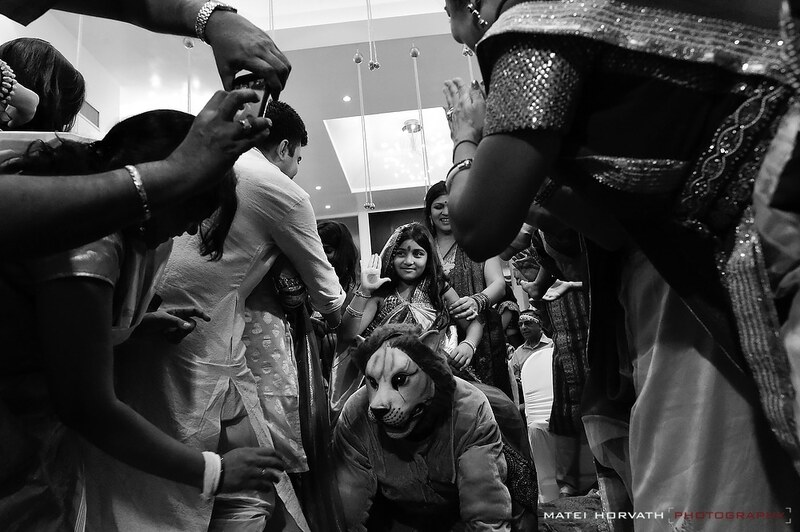 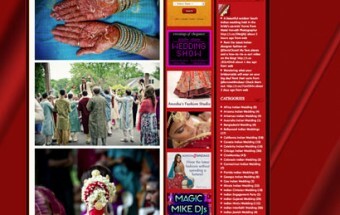 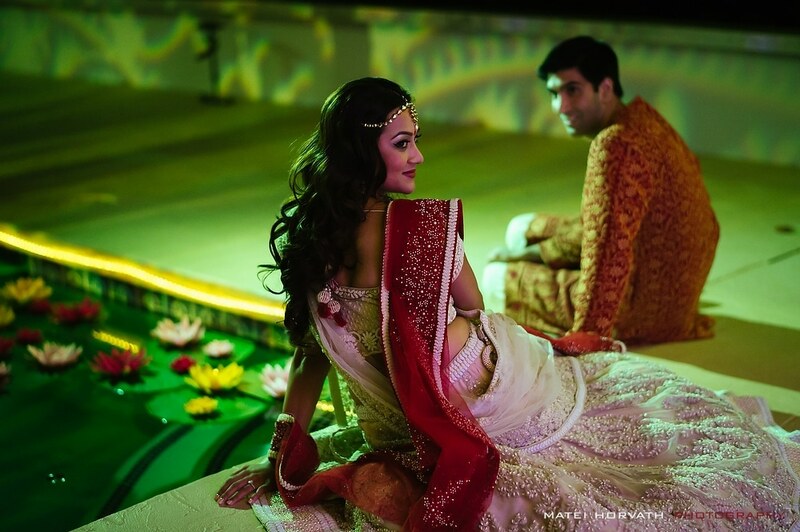 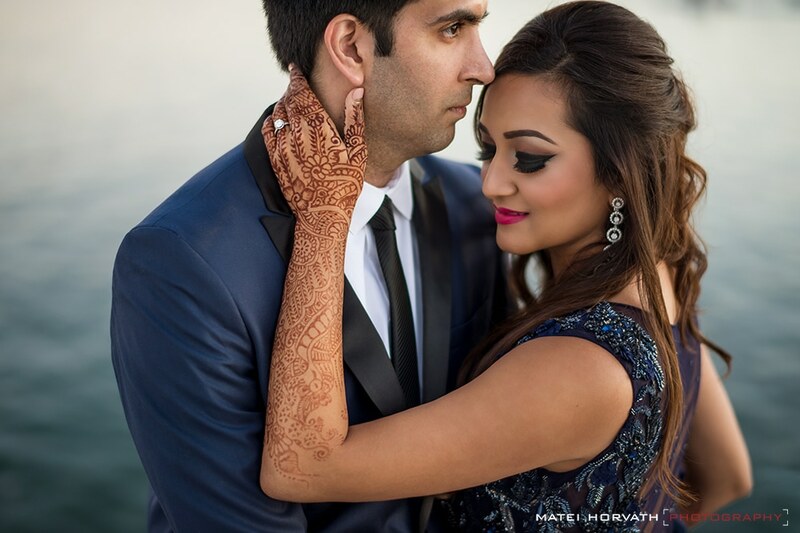 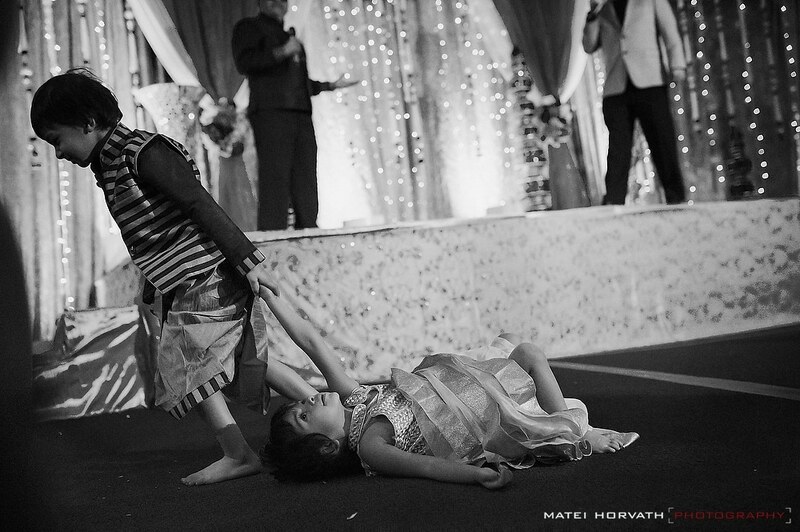 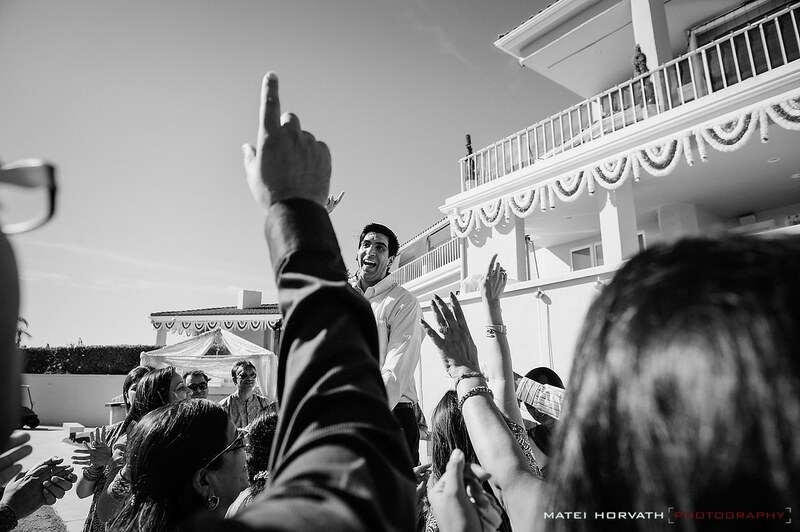 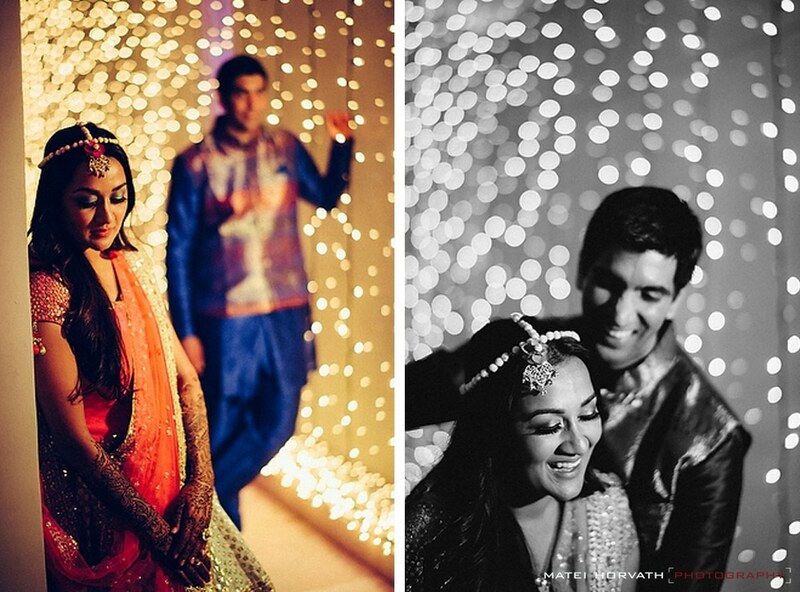 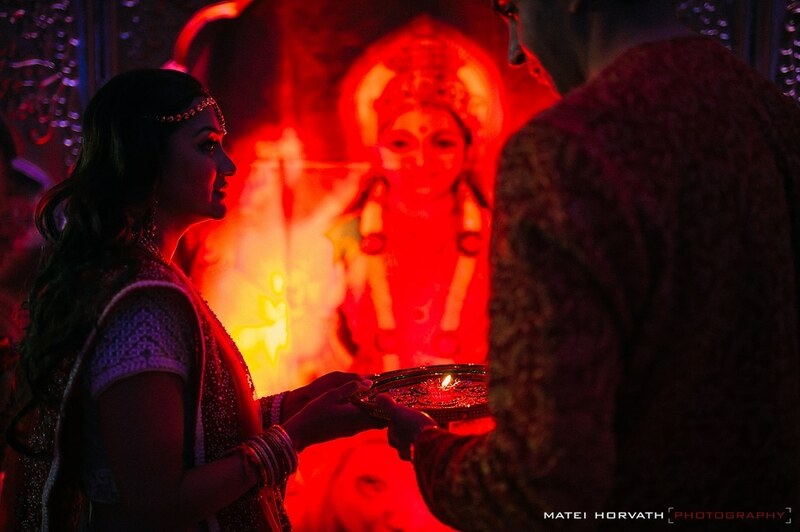 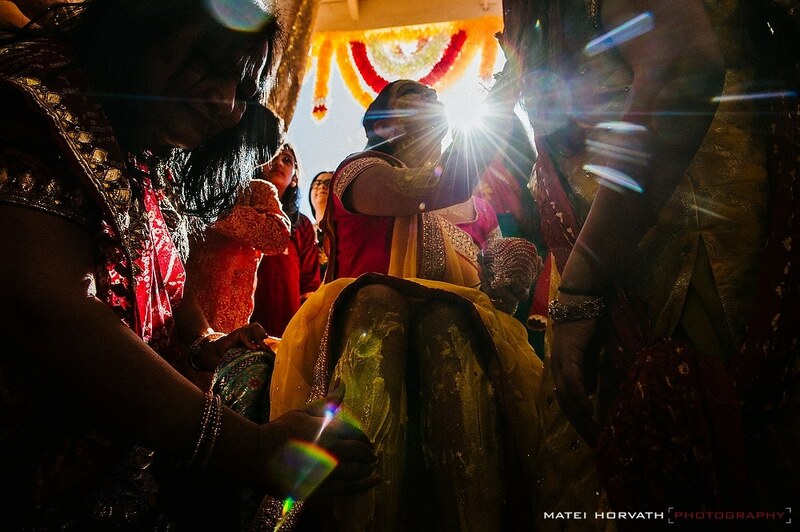 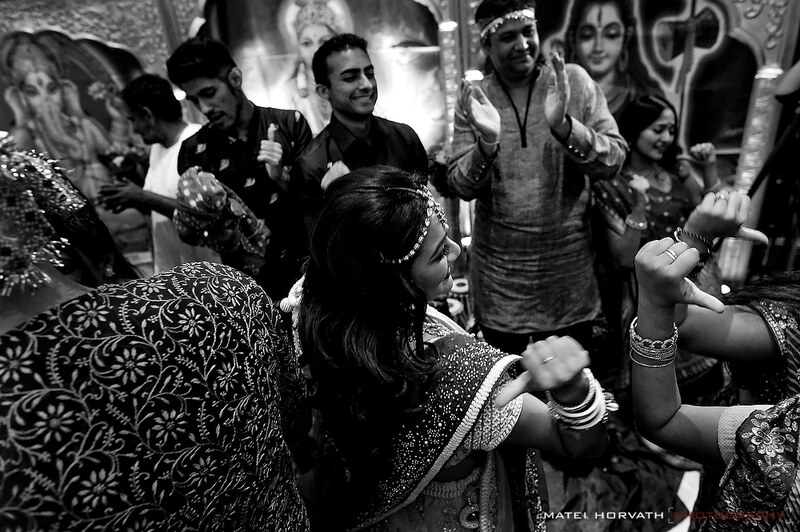 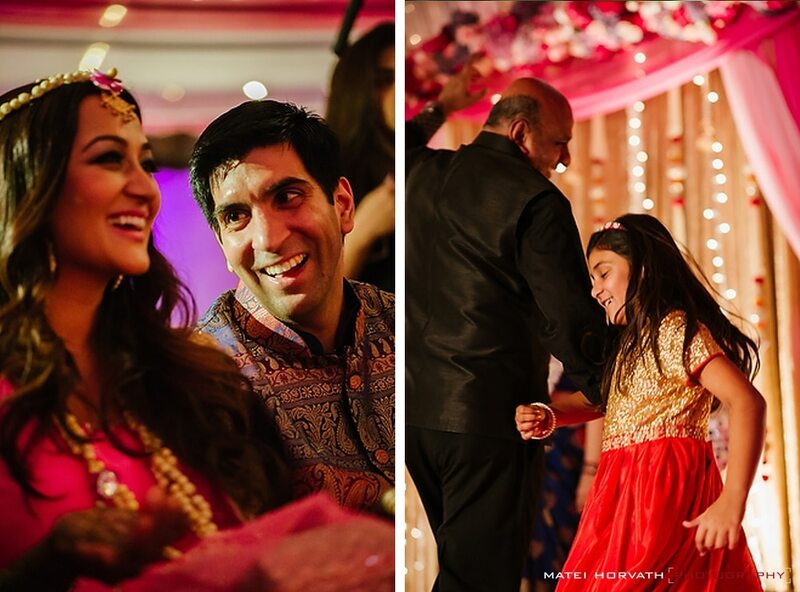 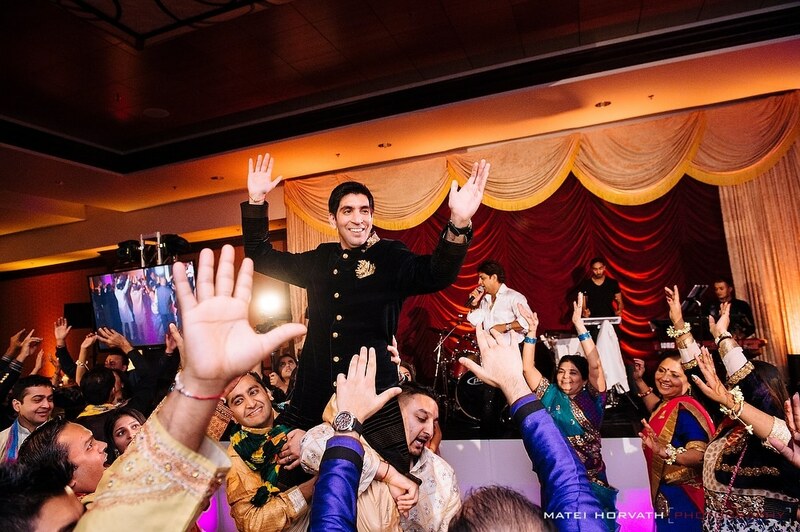 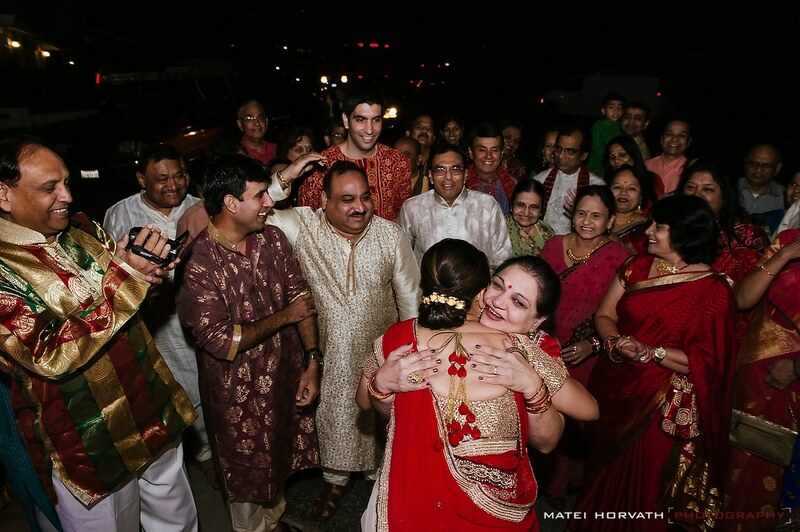 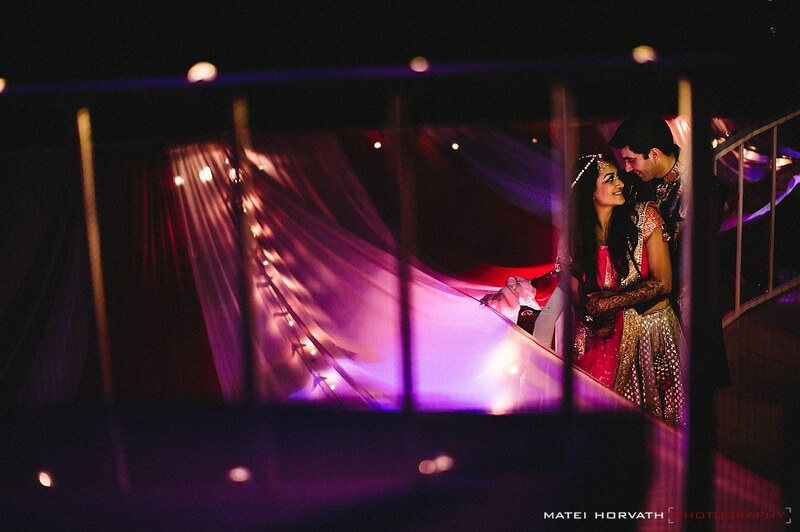 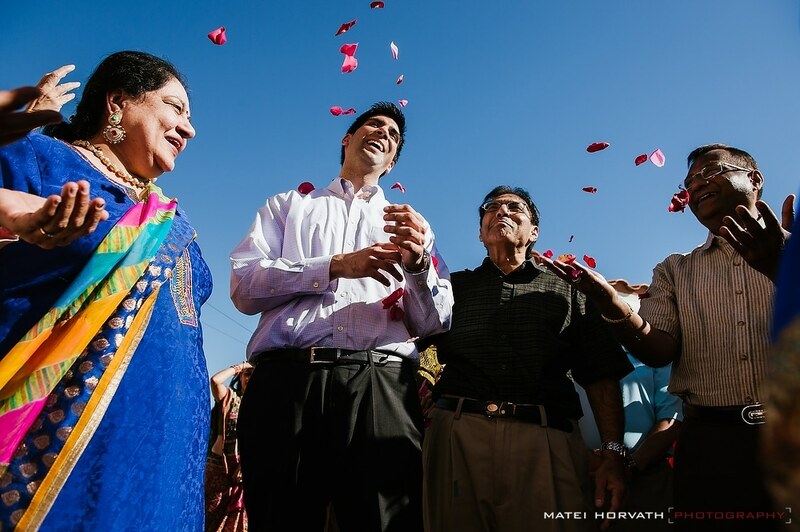 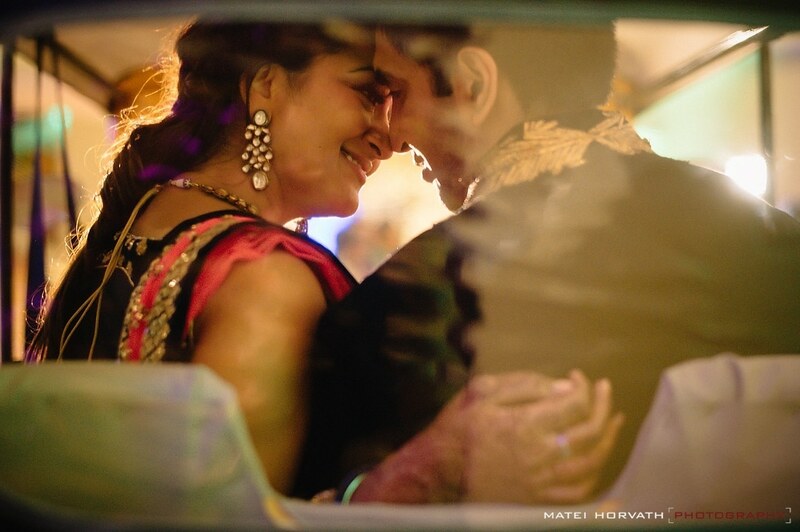 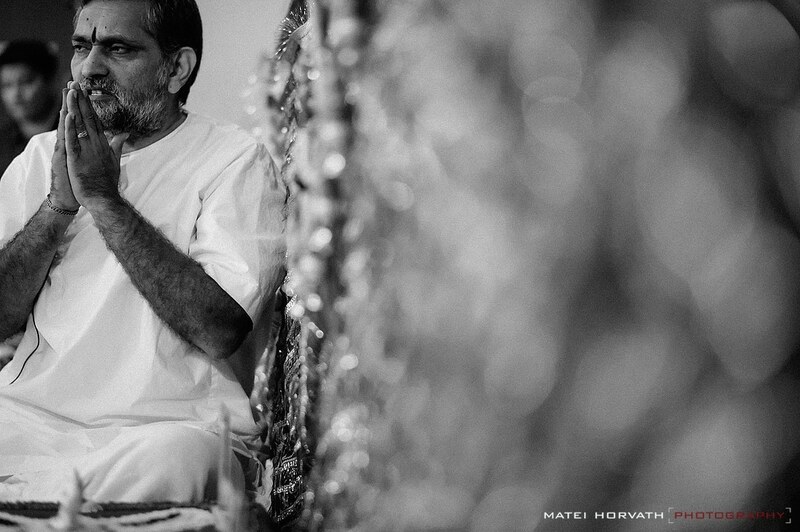 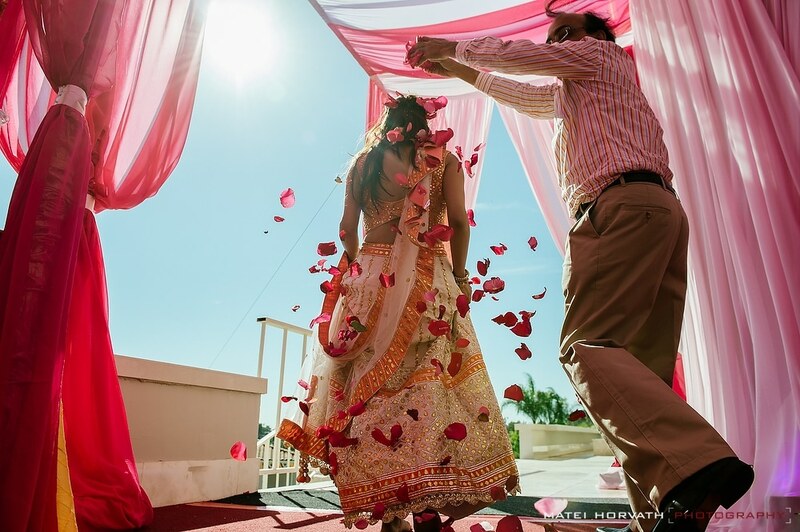 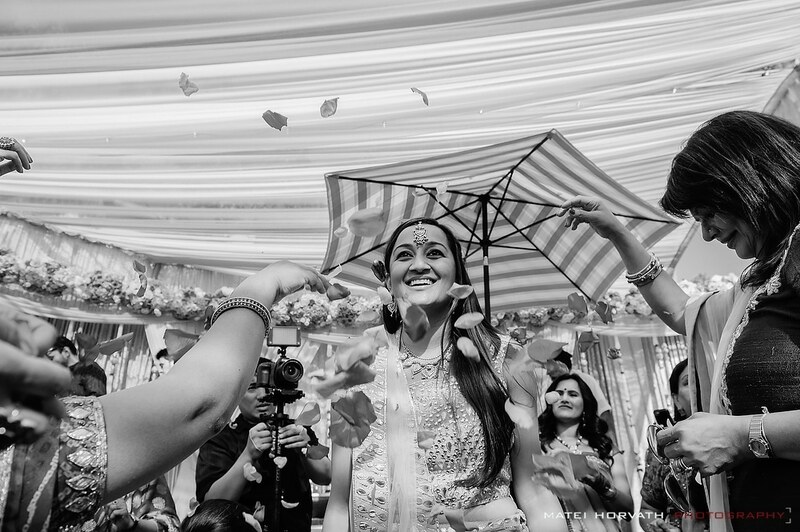 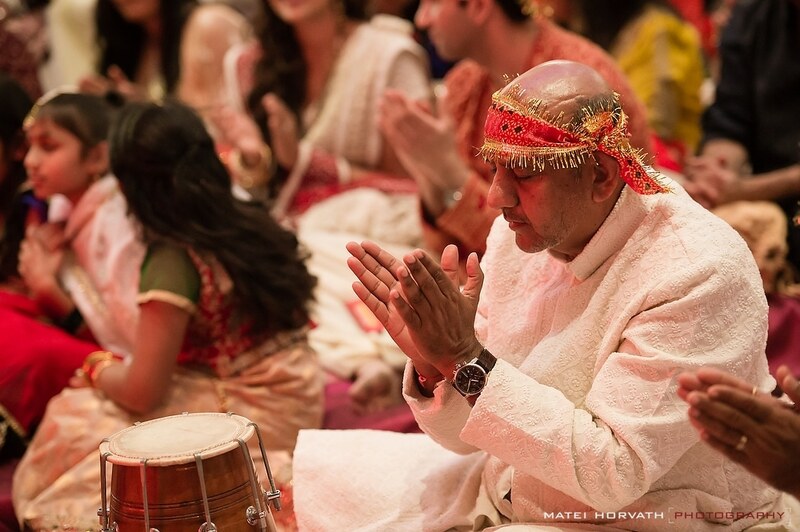 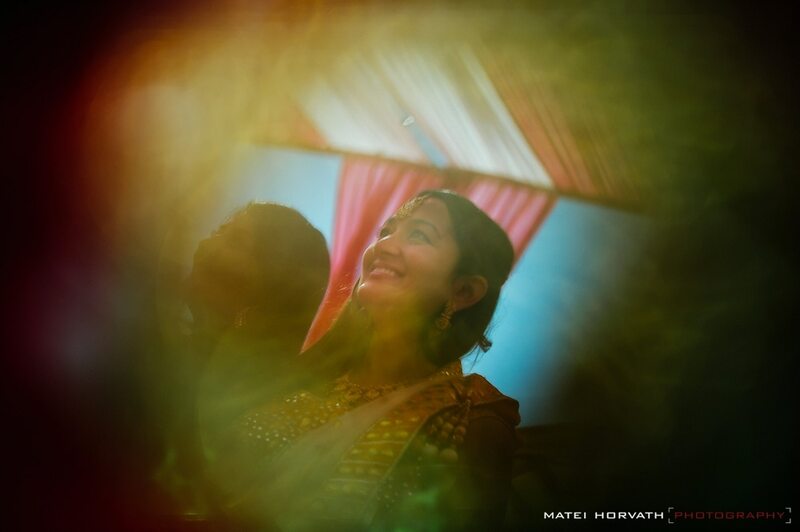 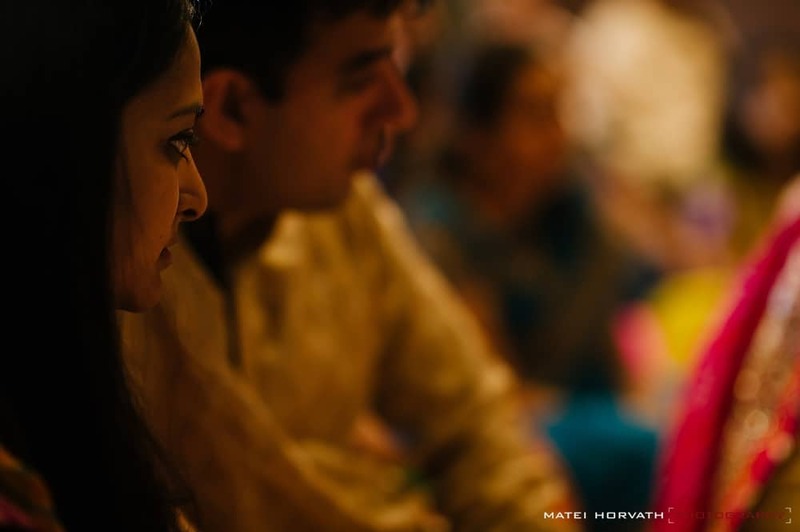 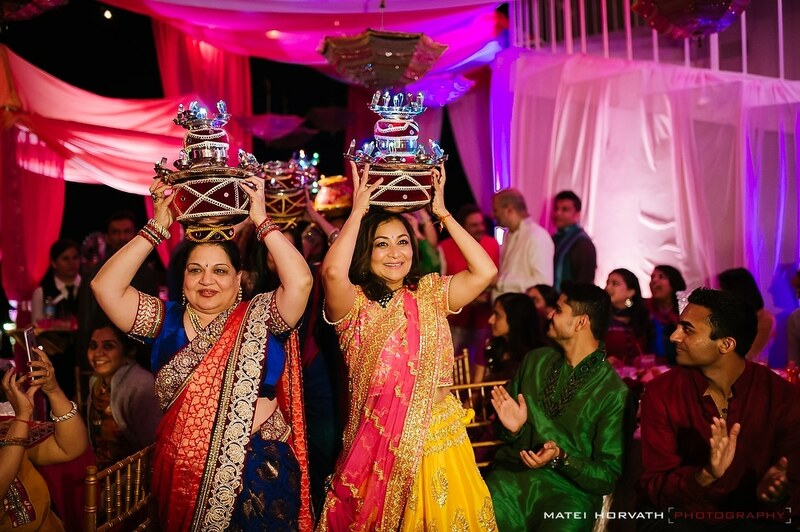 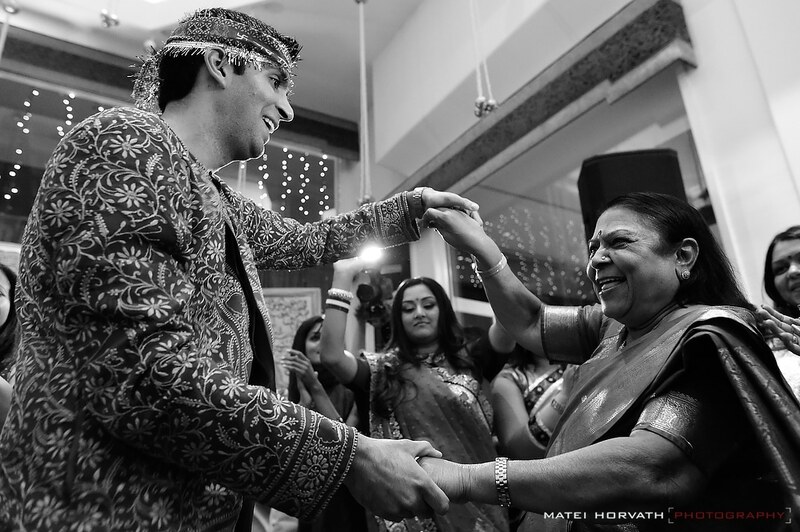 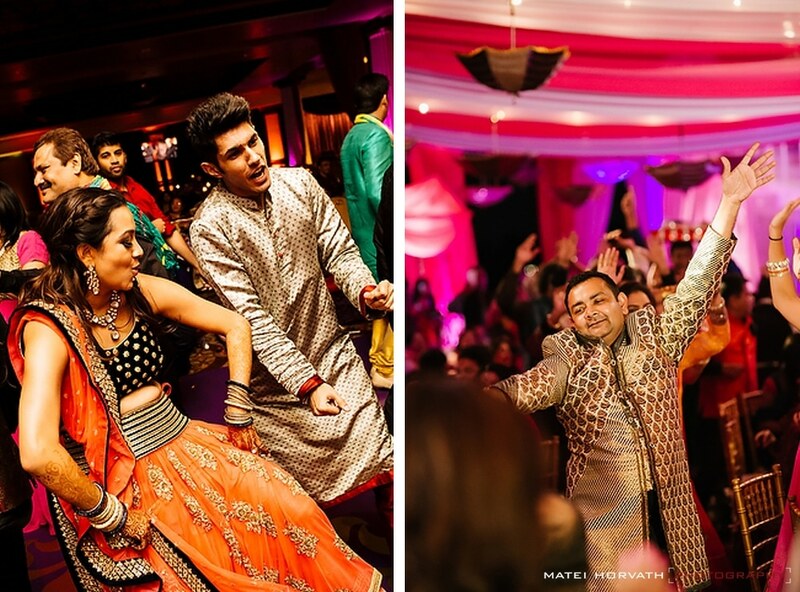 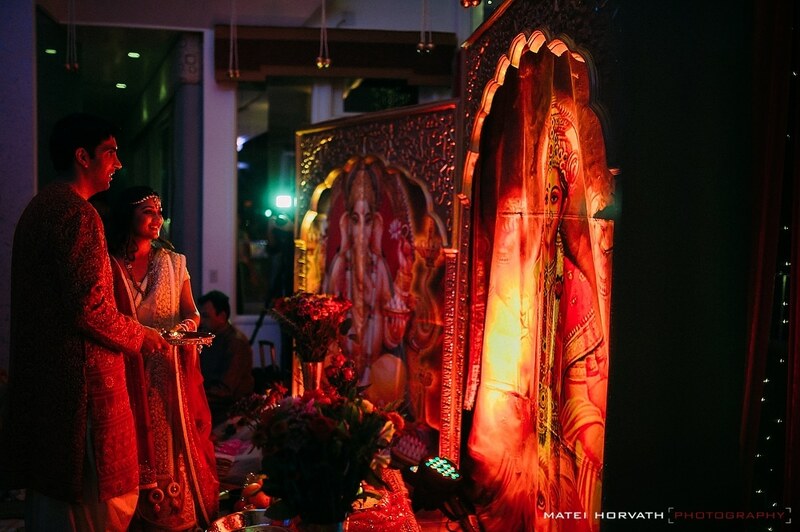 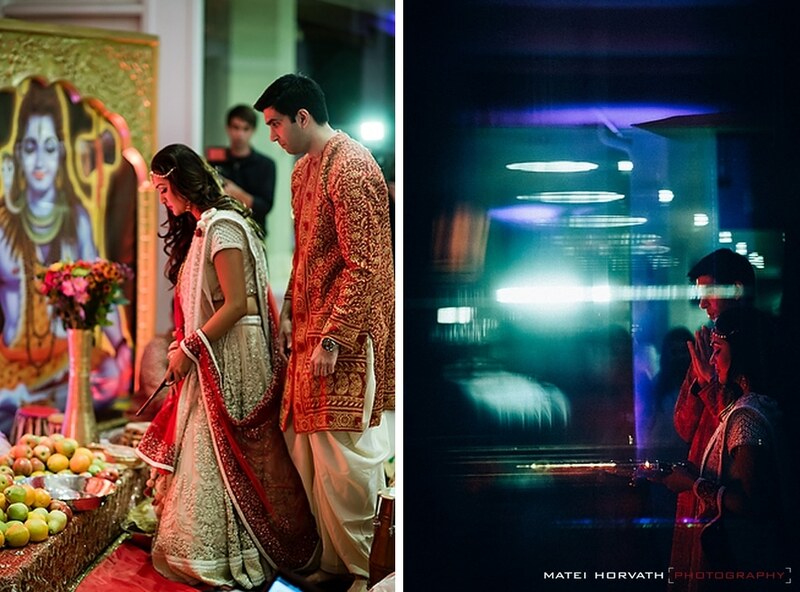 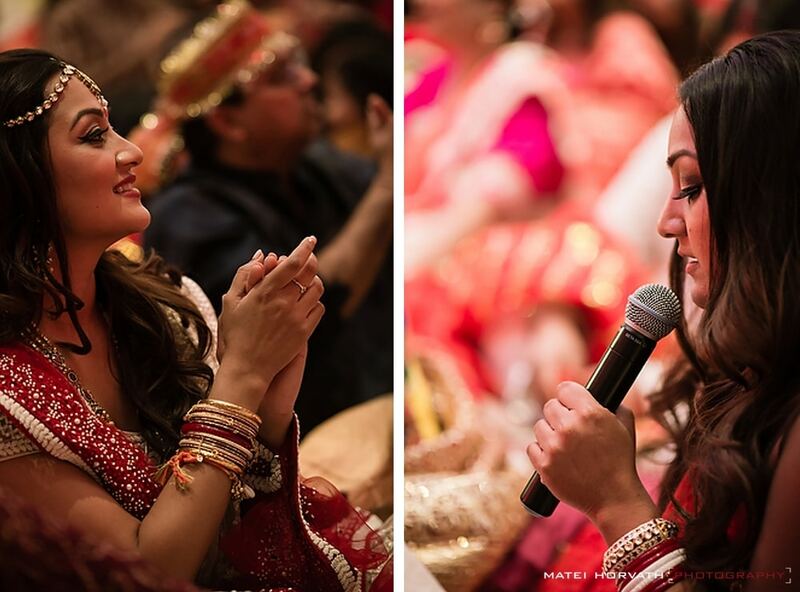 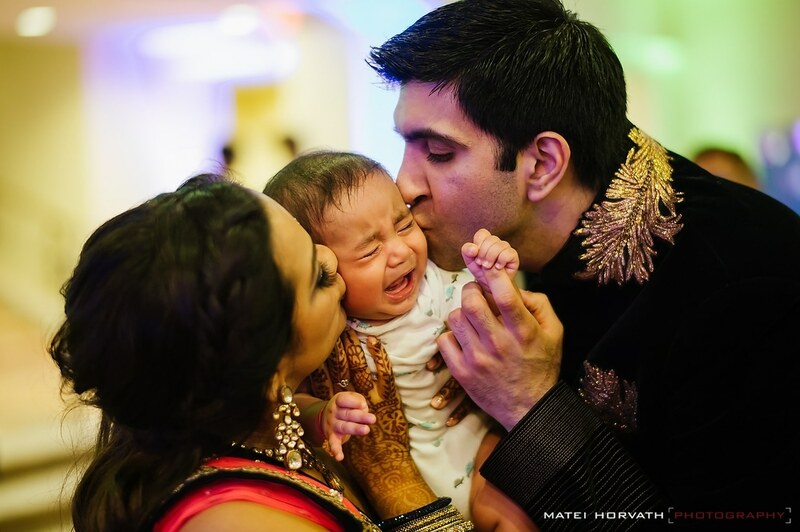 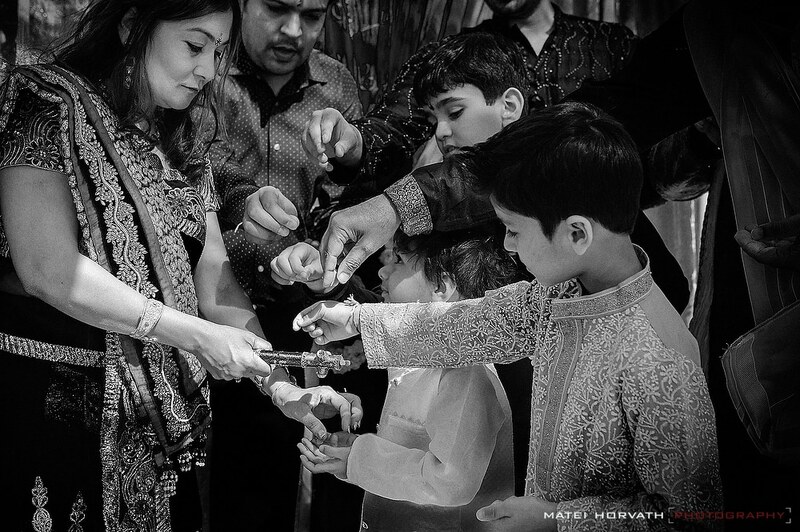 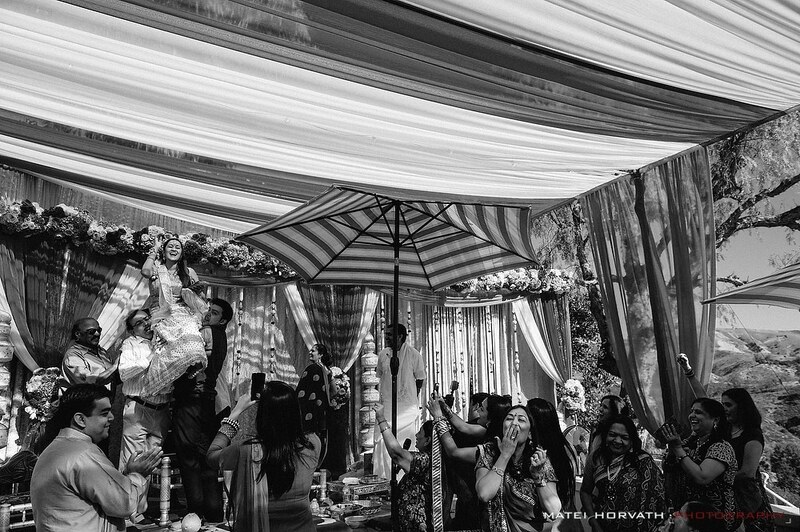 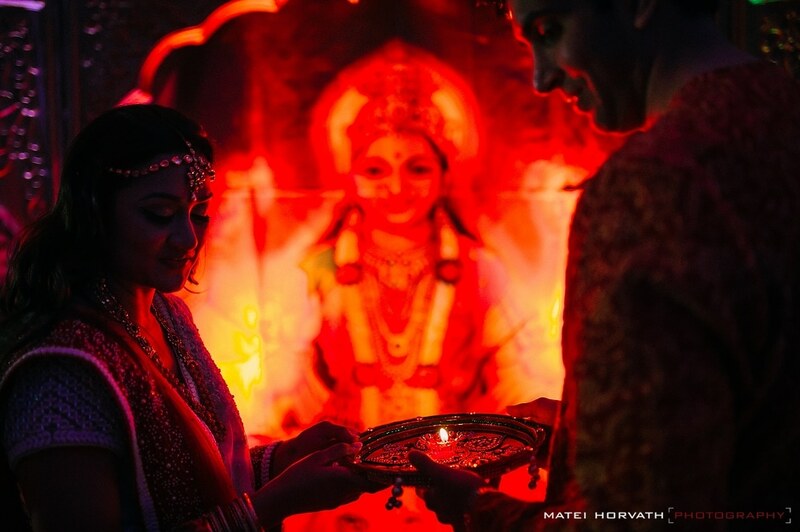 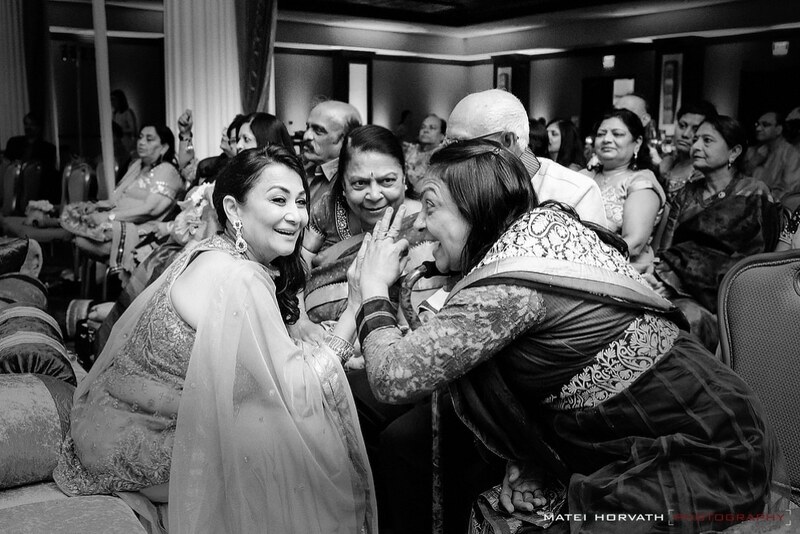 What I love most about Indian weddings is the sense of communion – how two families come together and become one. 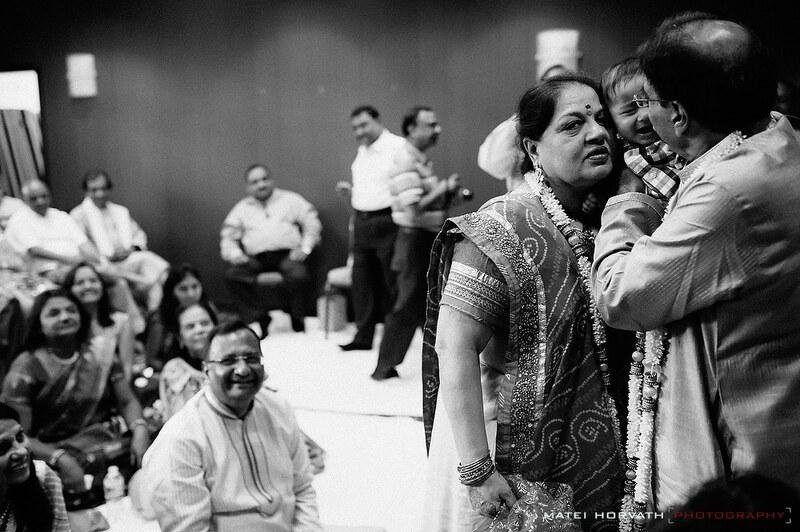 The welcoming, respect, love and joy that people show is incredible. 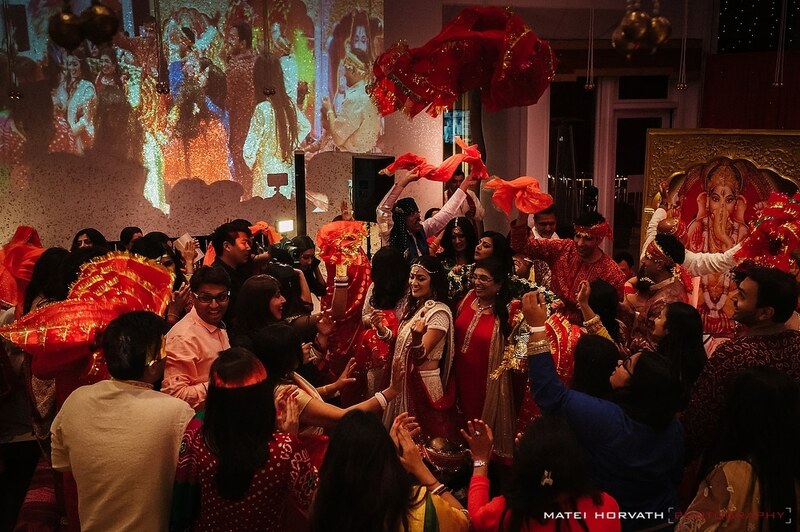 And it was probably more distinctive during this wedding as it was five days of shooting more than ten events with family and friends that traveled from all over the world! 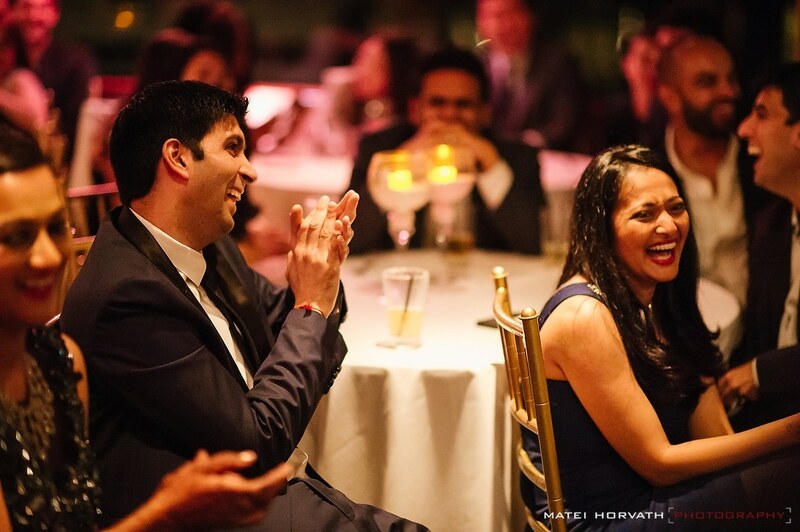 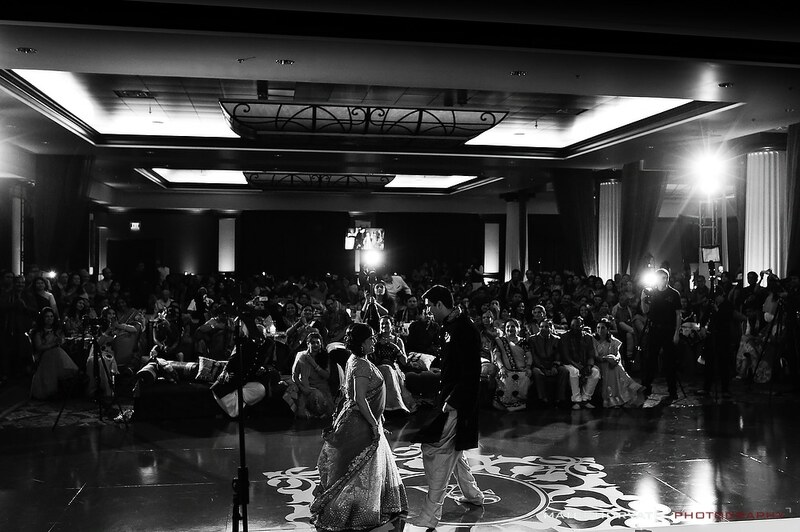 Once Siddhi and Ashish met, there was little to keep them away from each other even though one lived in Los Angeles and the other one in Chicago. 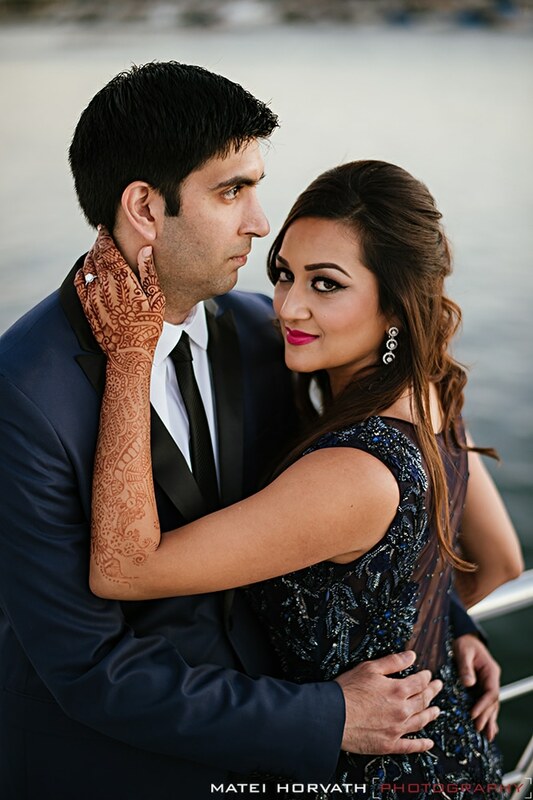 Hours and hours of phone conversations and huge cell phone bills and a lot of flyer miles and it was obvious they wanted to make things work. 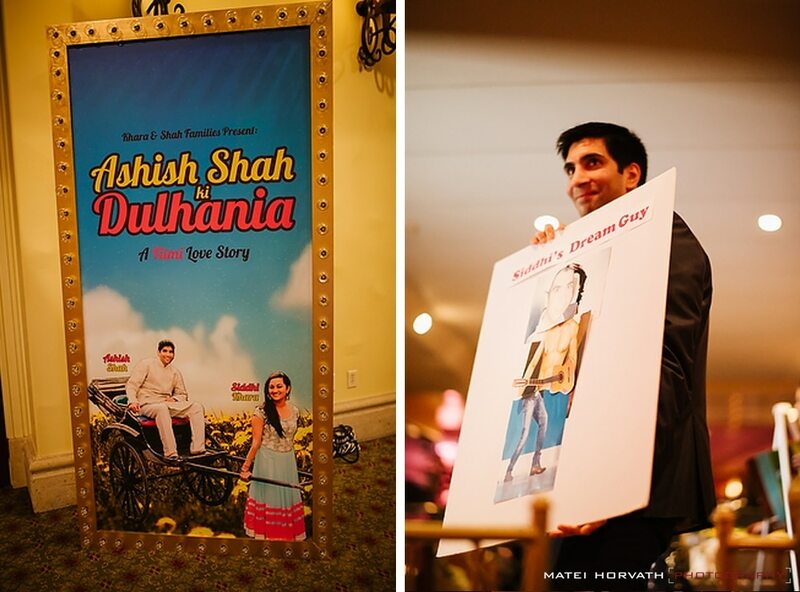 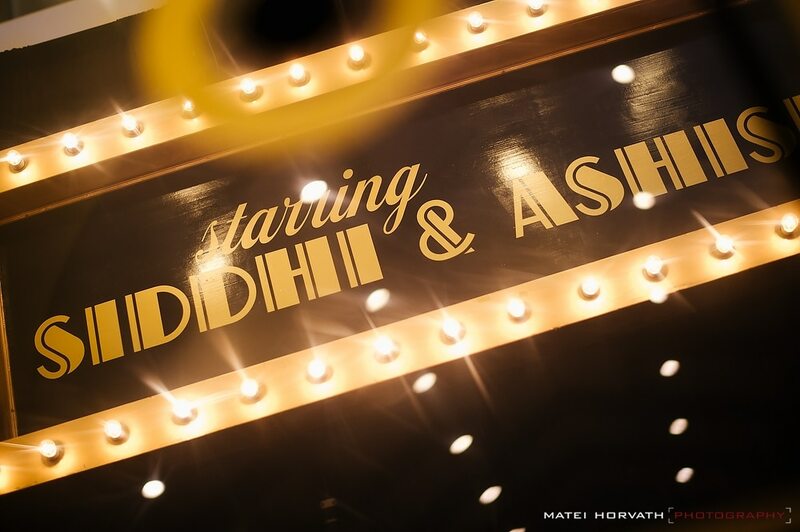 Siddhi (the co-founder along with her twin sister Riddhi of a very successful online business) was ready to make the move to Chicago where Ashish has his medical practice. 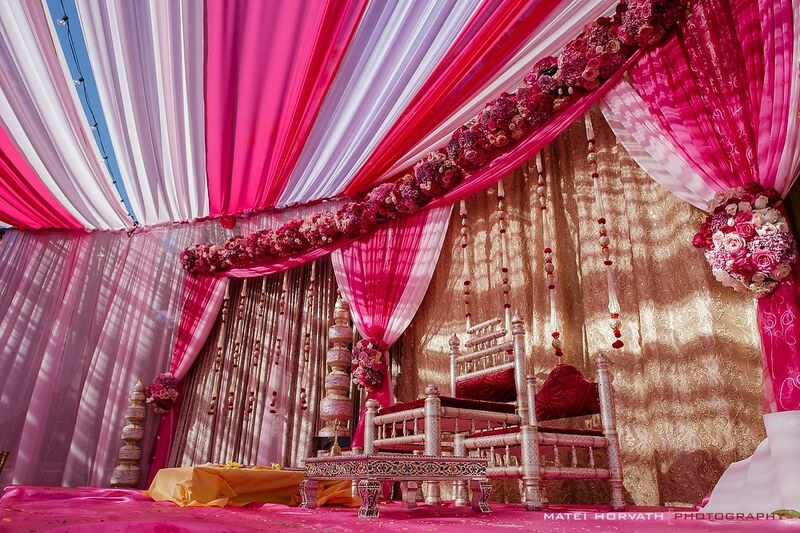 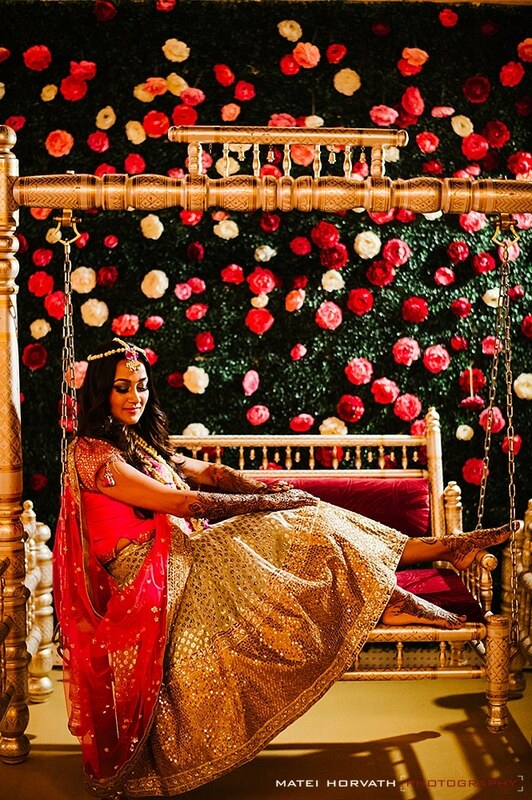 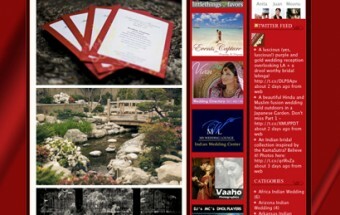 Little did she know that her mother and her very good friend and very talented wedding planner and décor specialist Smita Mohindra, had been ‘plotting’ behind the scenes, pairing up colors, saris, décor details and creating themes that no one would ever think of before they even had a wedding in sight. 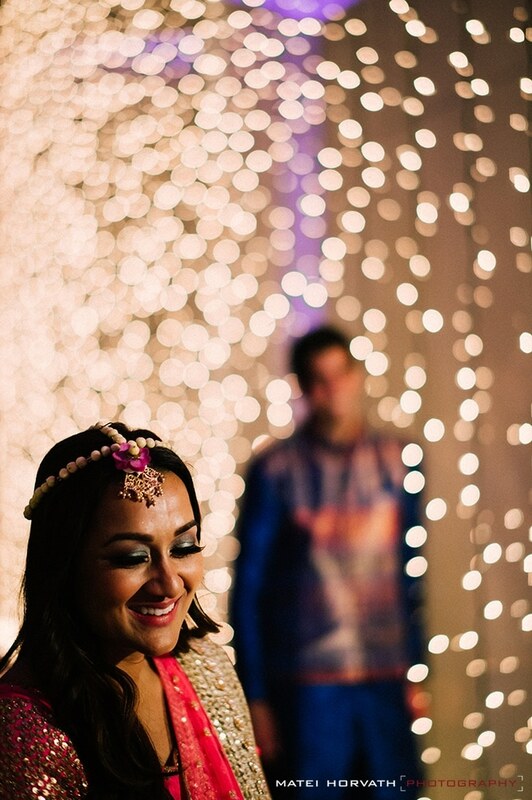 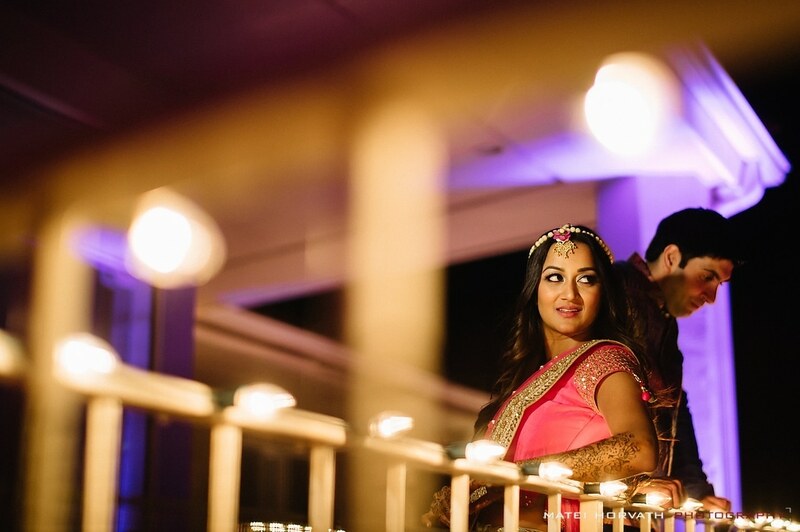 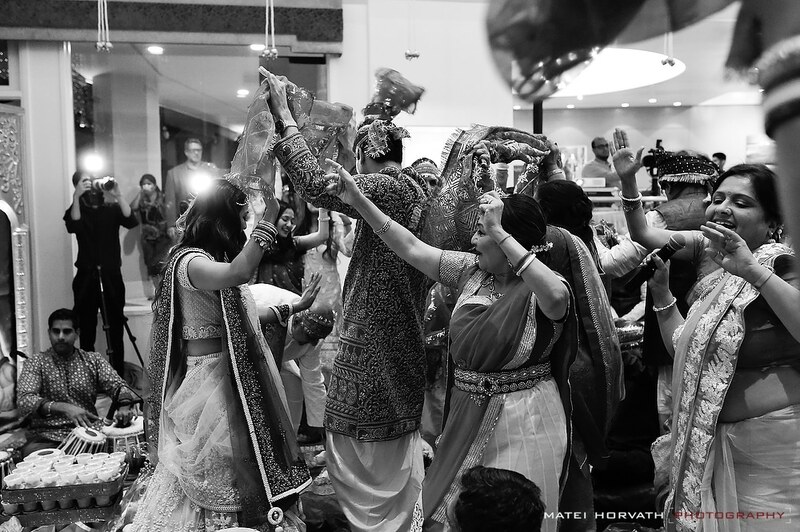 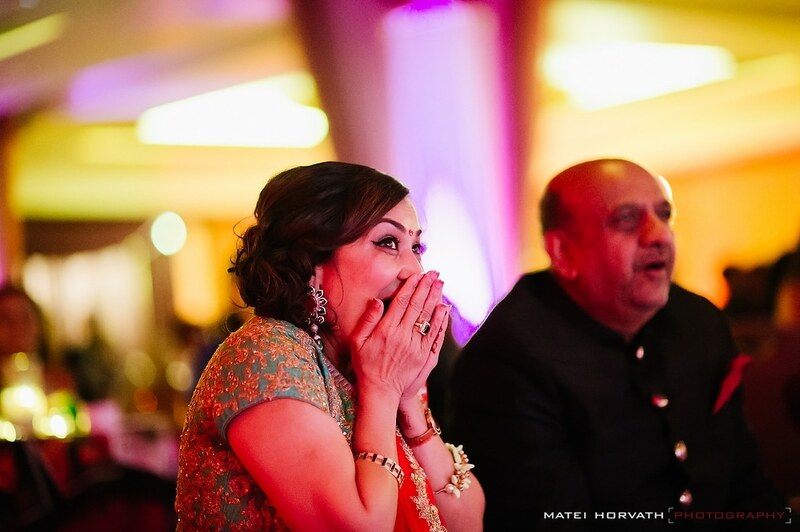 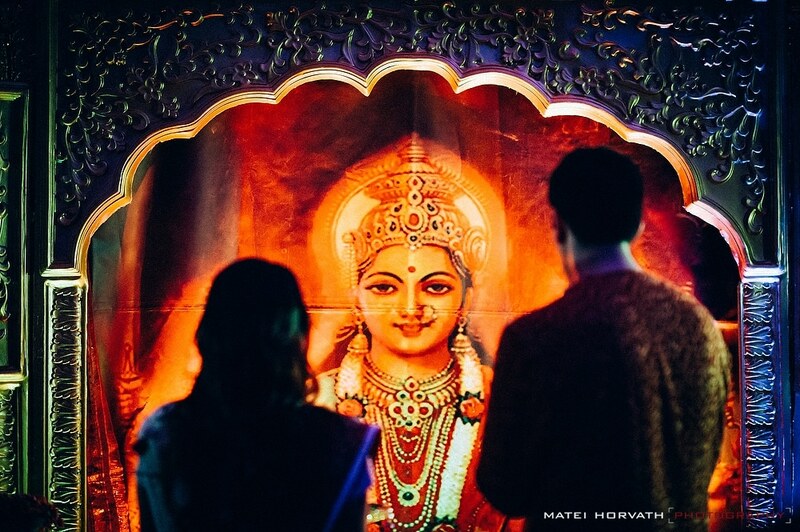 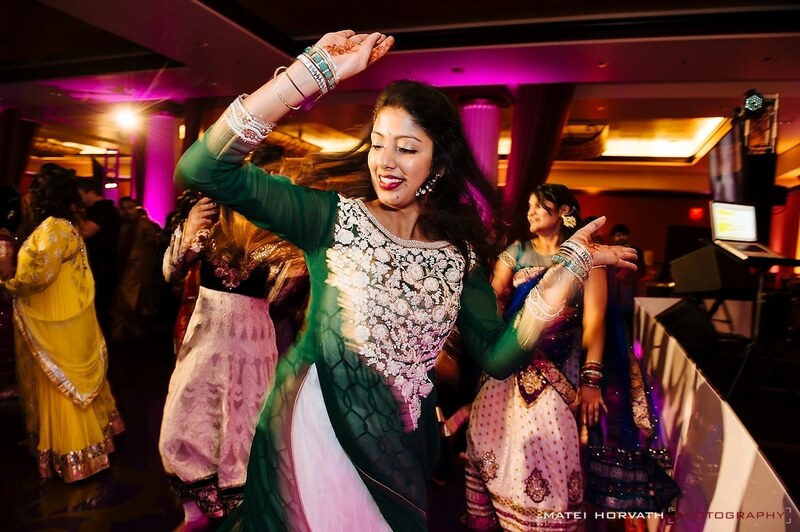 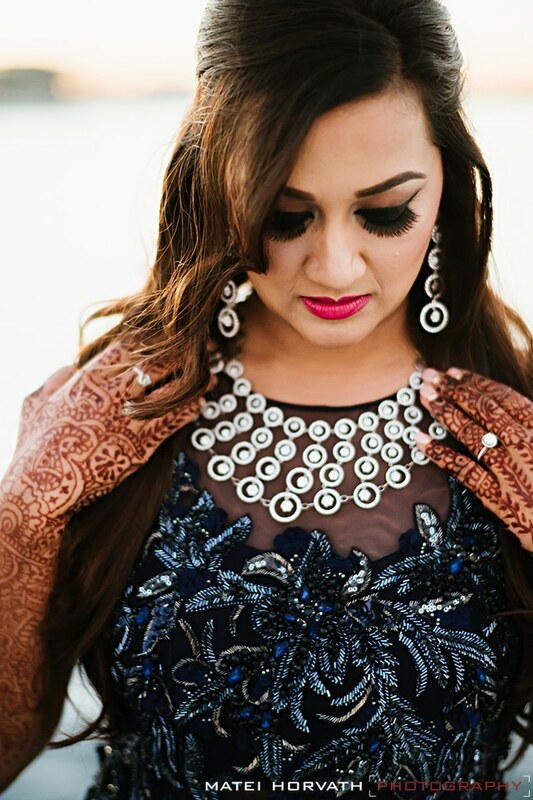 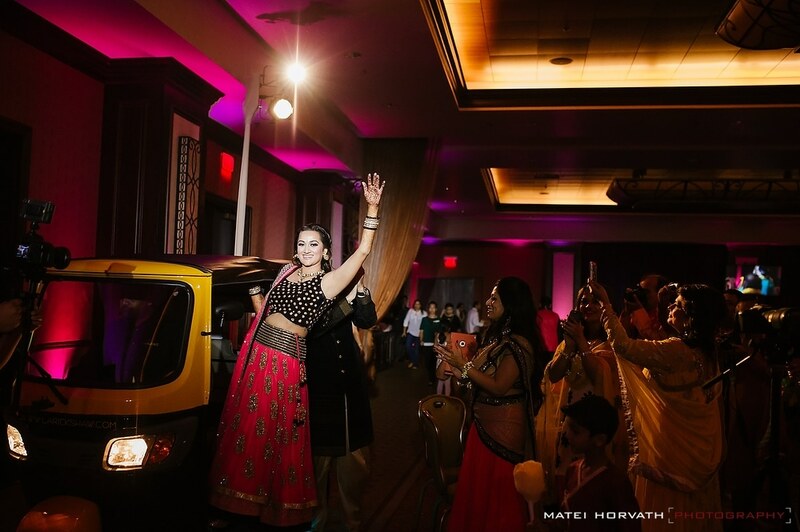 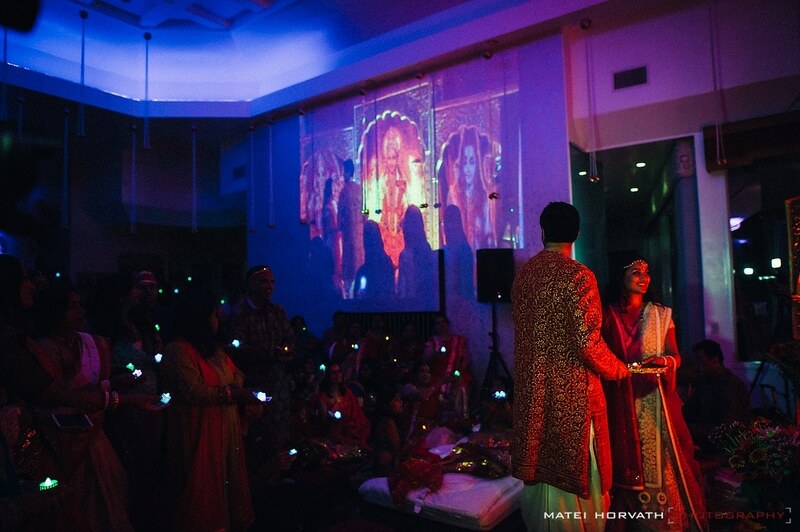 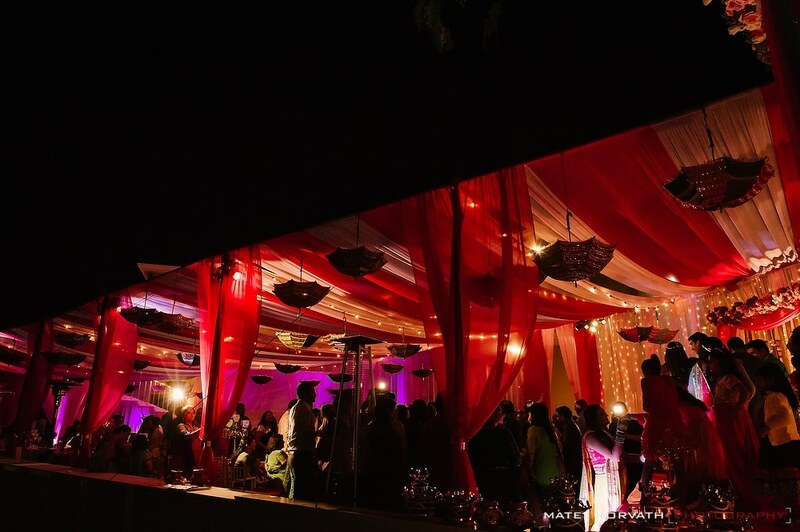 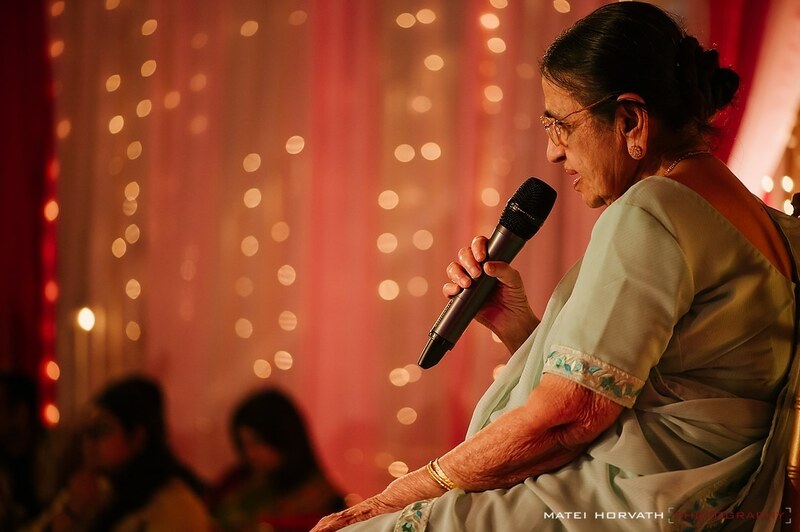 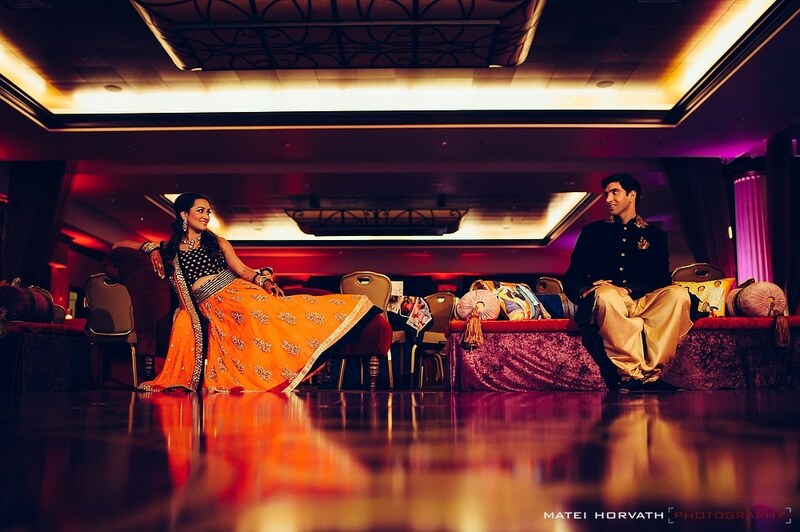 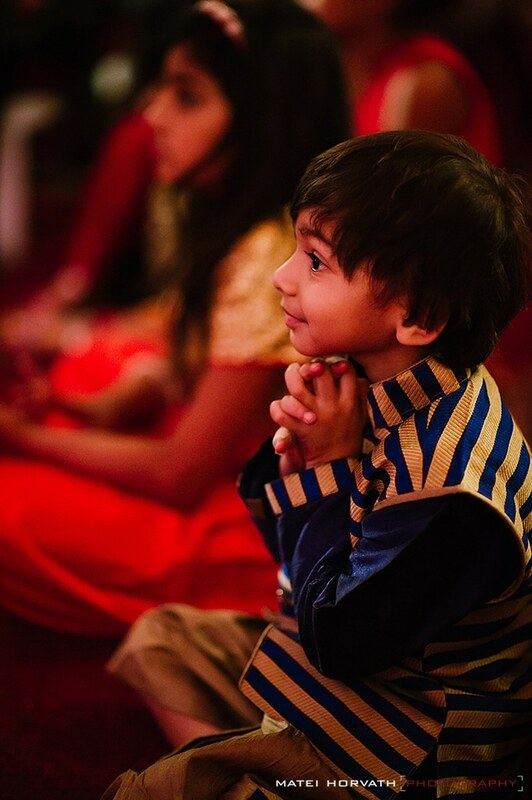 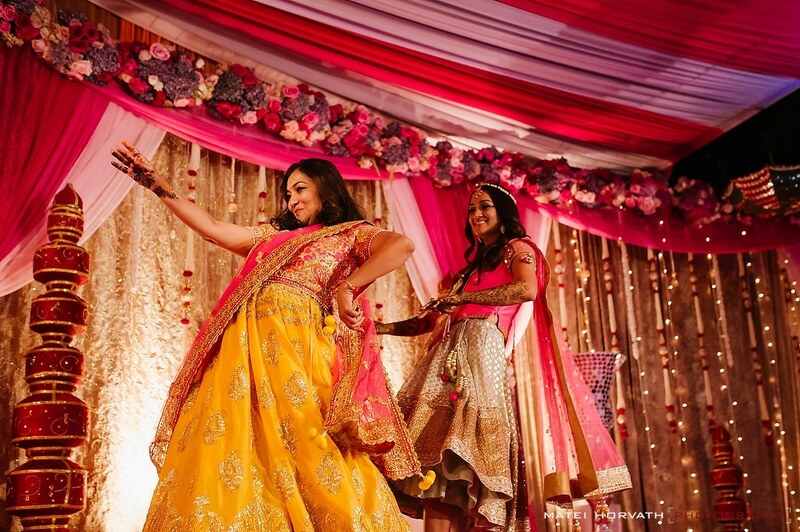 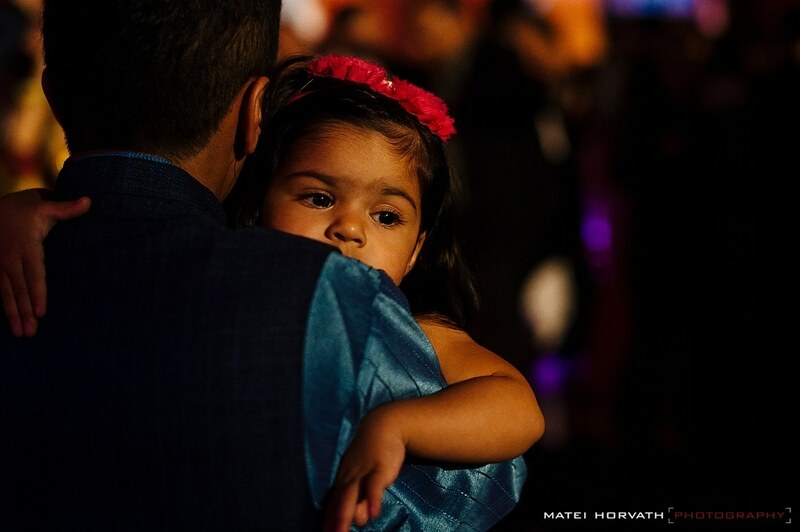 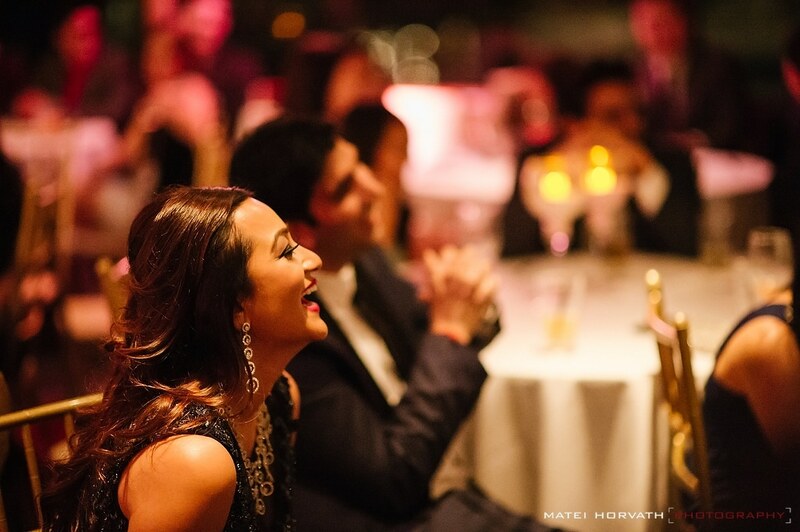 So it is fair to say that this wedding was years in the making, and once we talked to Siddhi about her weeklong events, it seemed like it was planned to a tee thanks to a wonderful team of vendors. 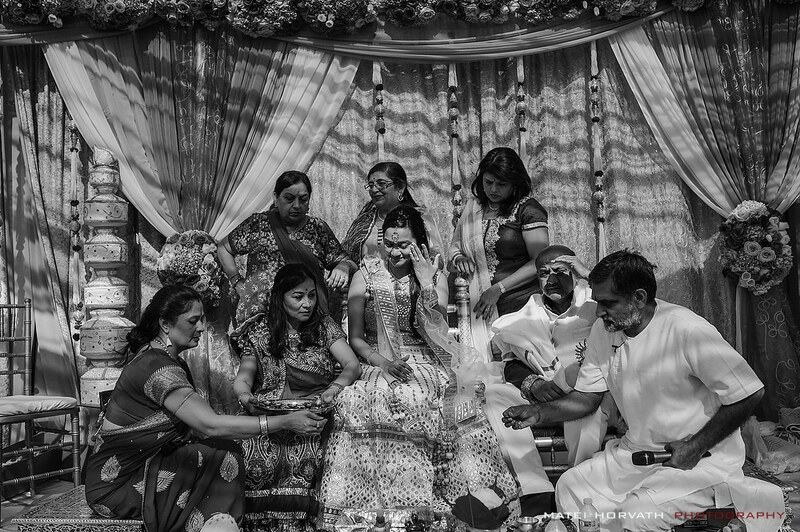 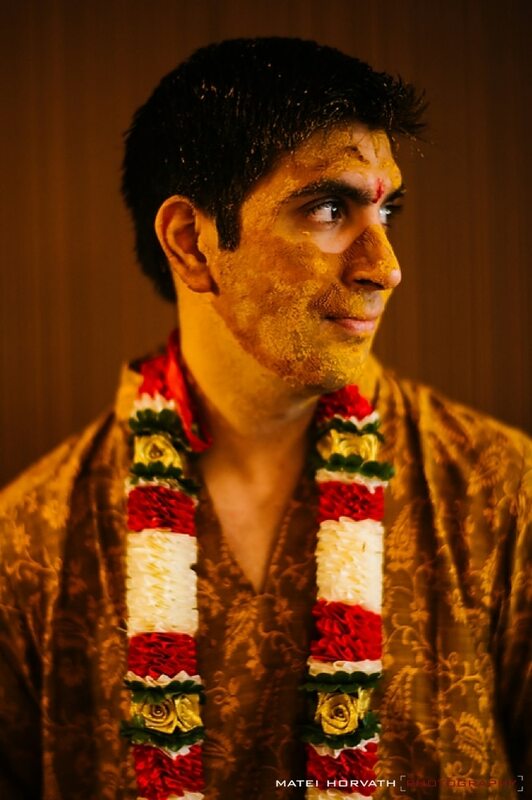 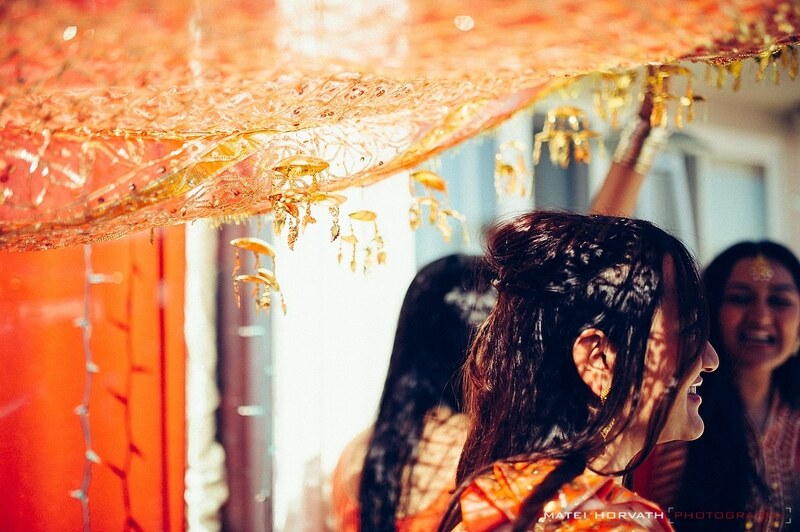 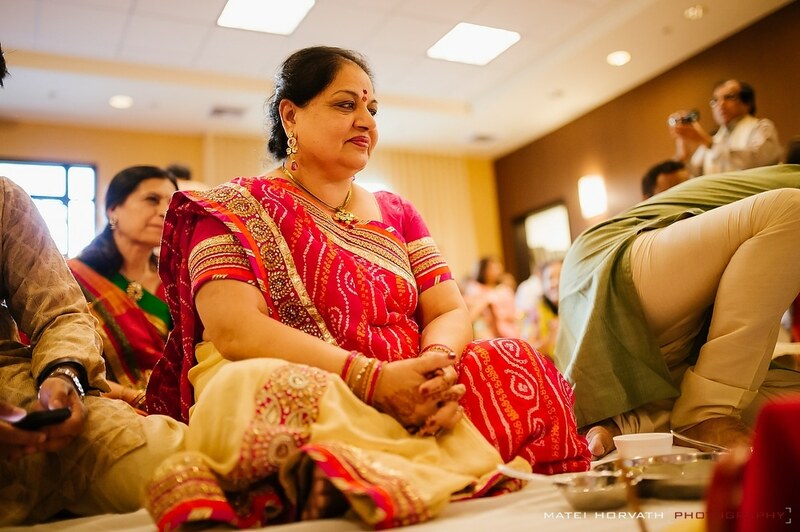 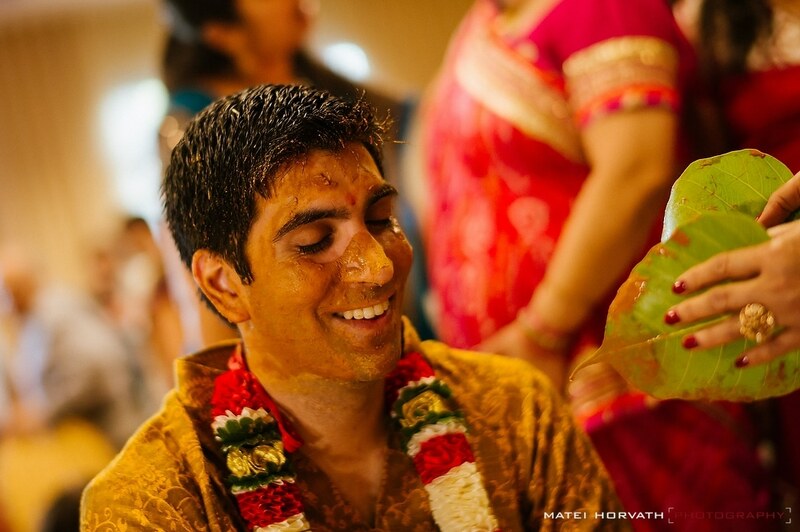 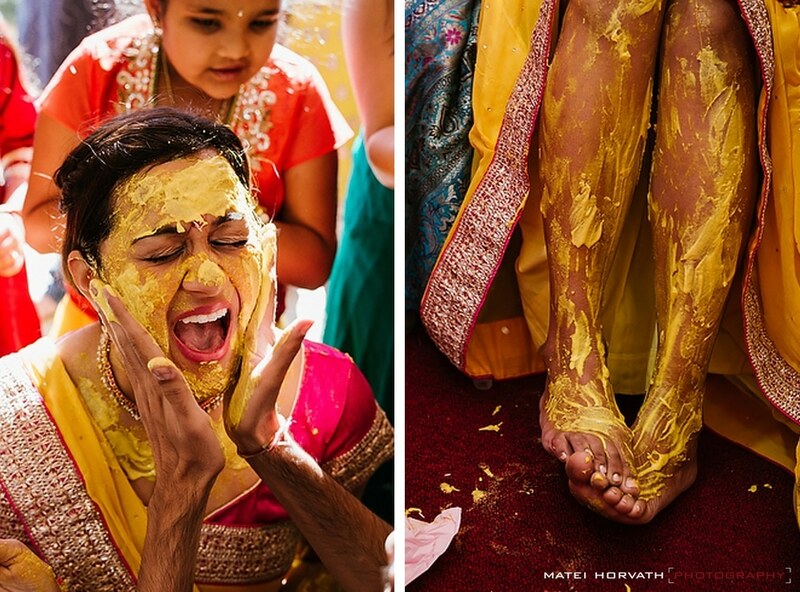 The ceremonies started at Siddi’s parent’s residence in Santa Ana with a very emotional Puja (prayers) and then Pithi (the covering of the bride/groom with turmeric to purify the skin). 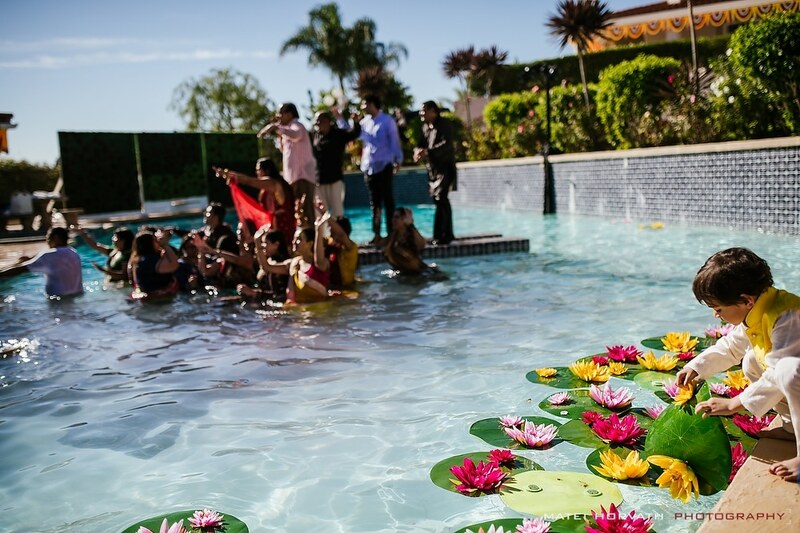 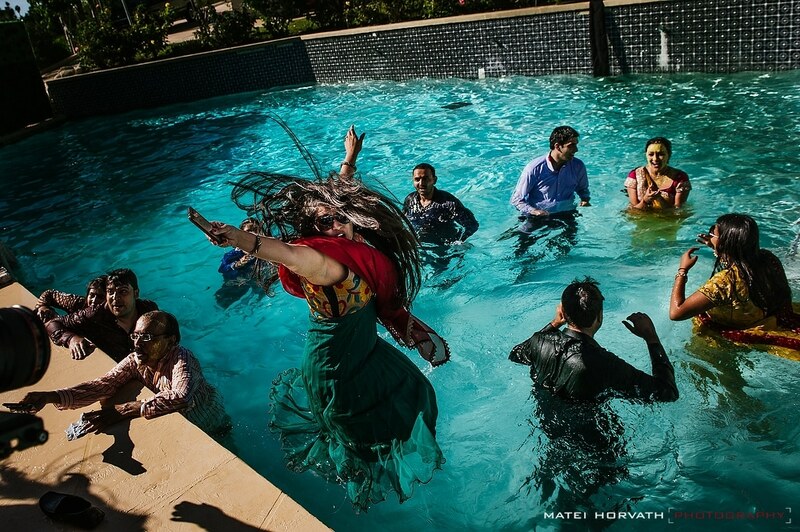 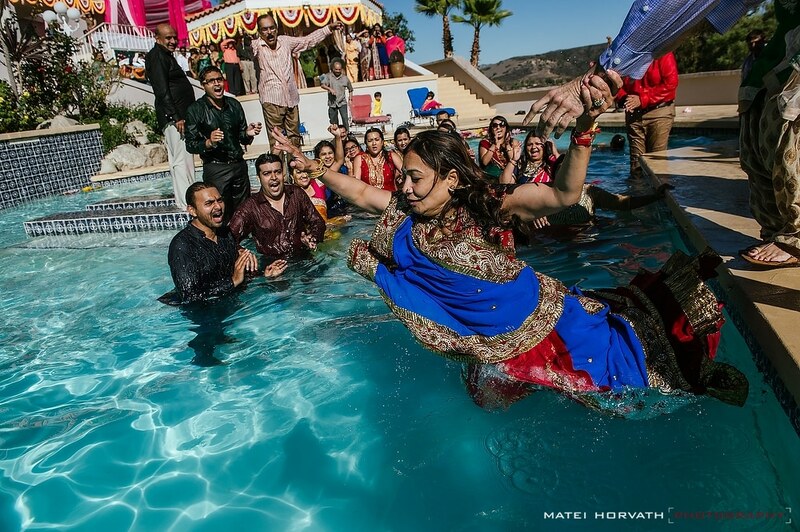 At the end of that ceremony the bride and everyone else jumped into the pool and danced! 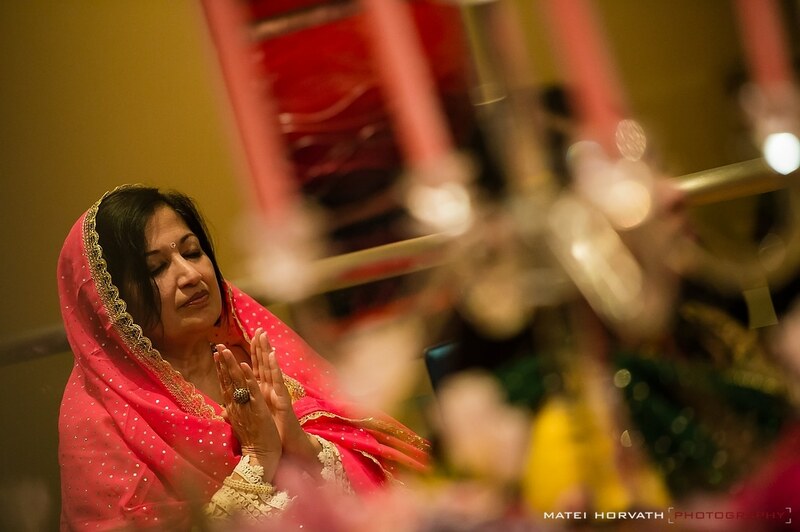 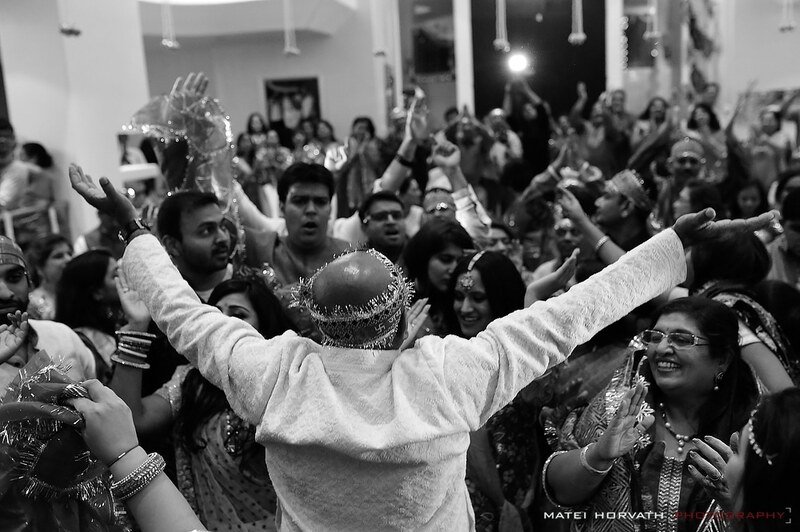 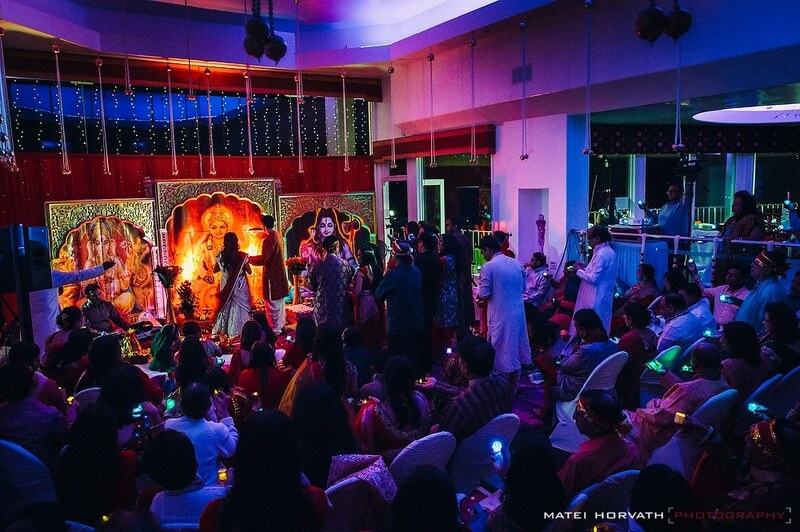 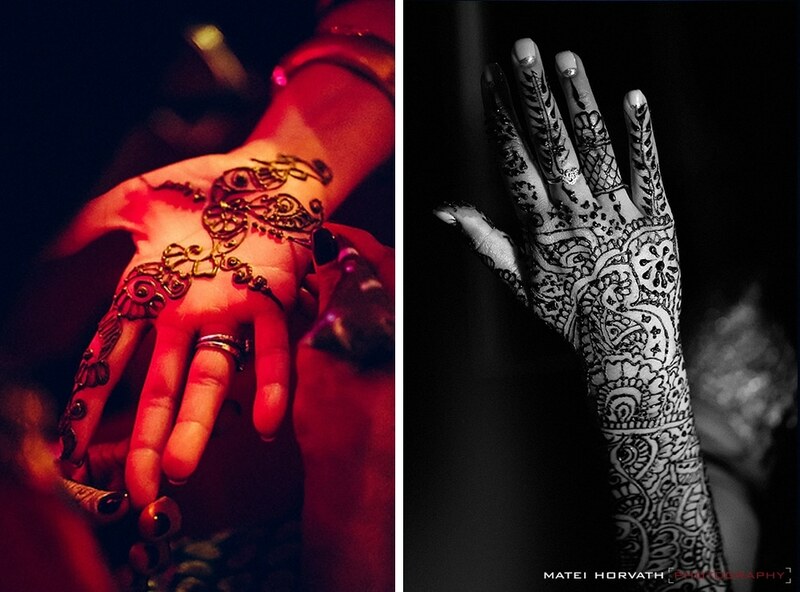 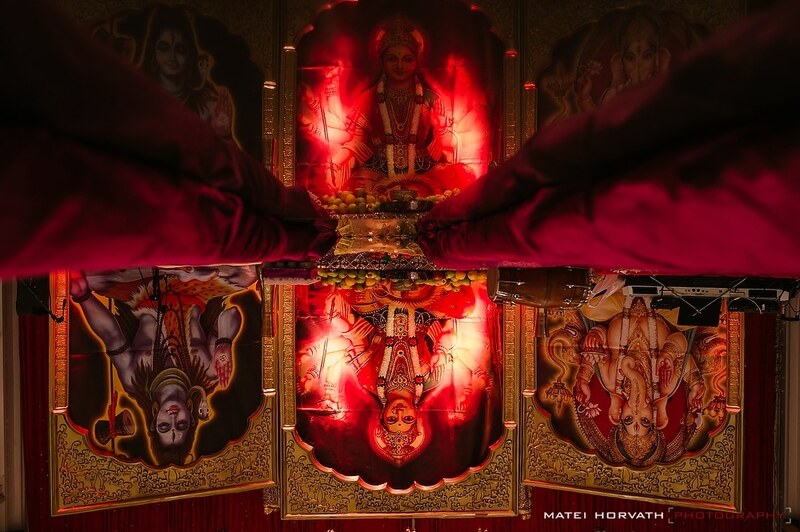 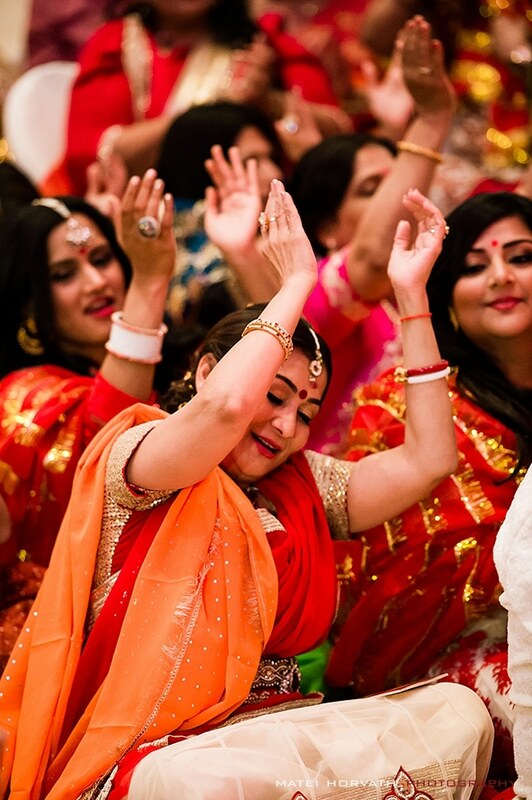 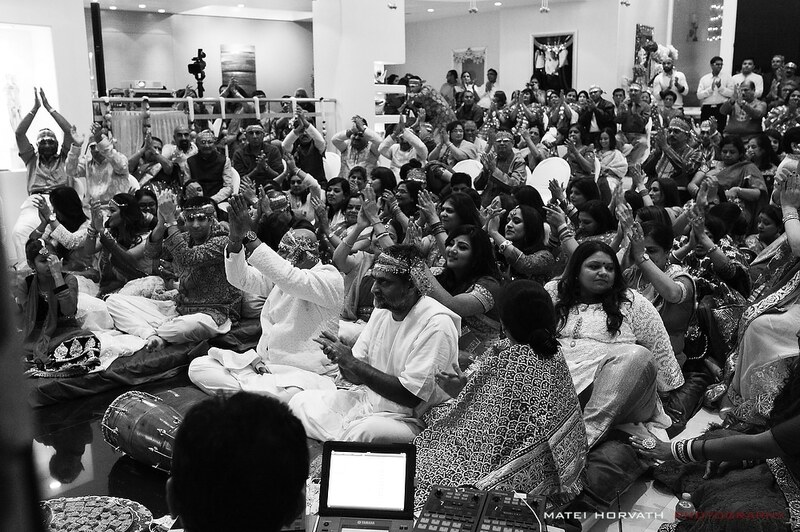 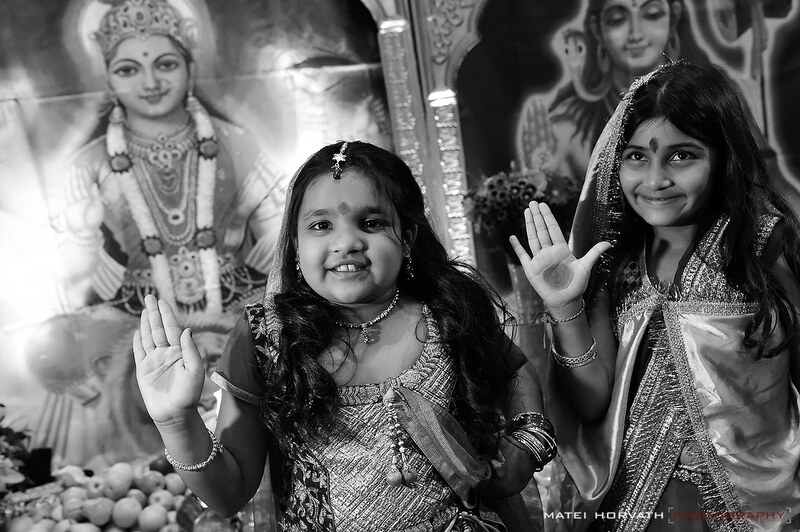 Later – an evening of Devotional Bhakti with singing and dancing at the Khara Residence followed by the Mehndi (henna) party on Wednesday night. 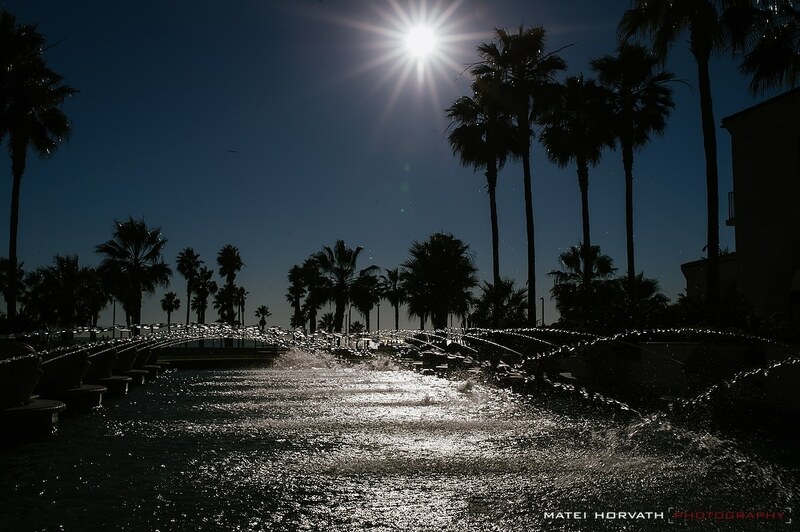 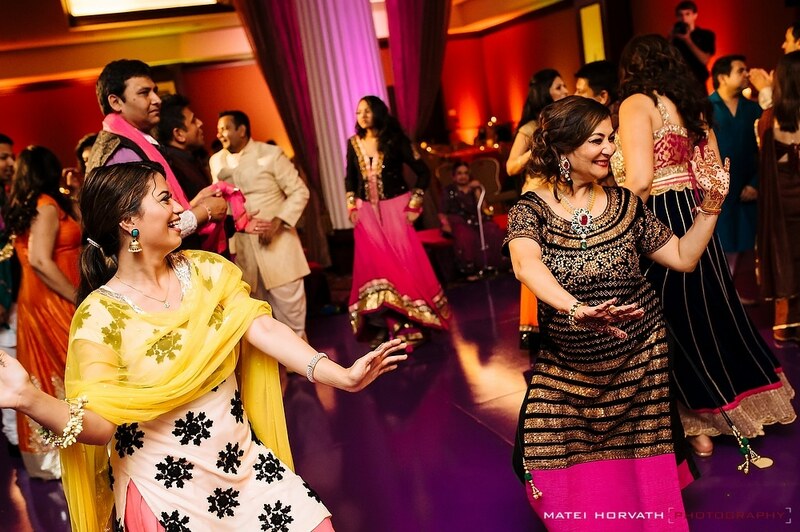 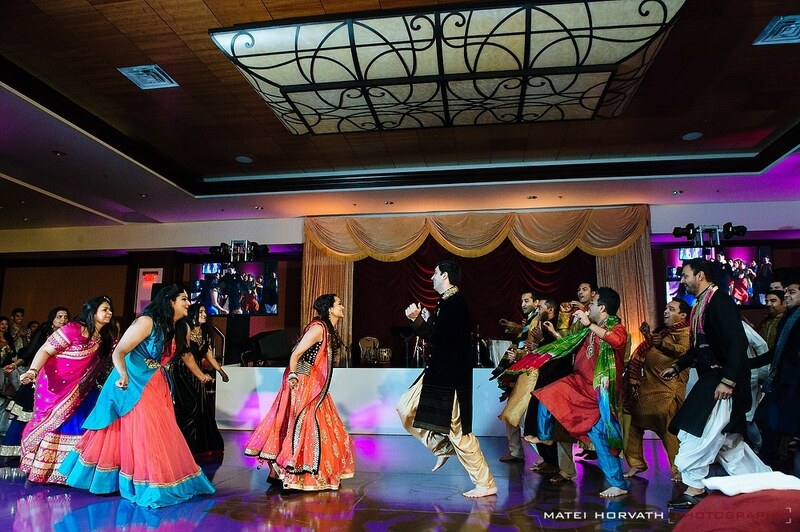 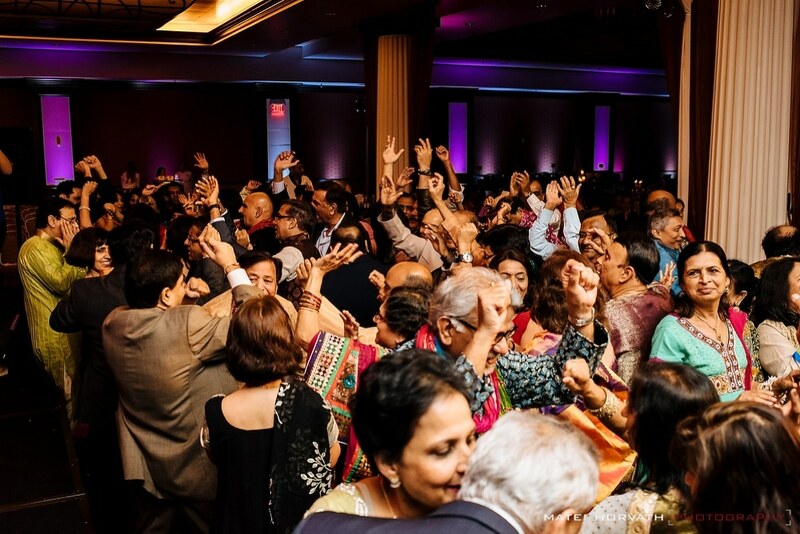 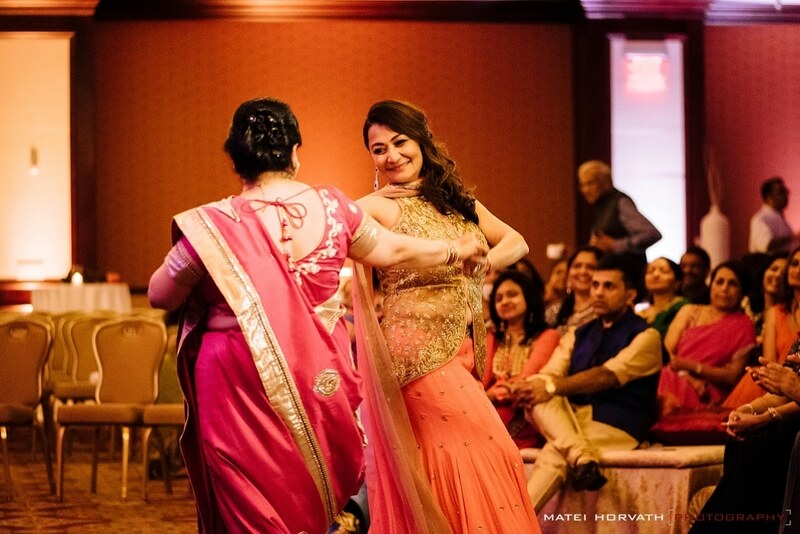 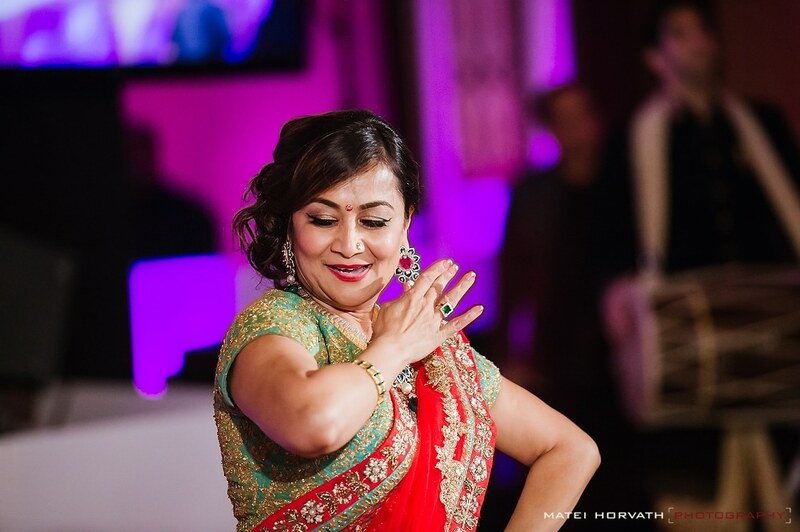 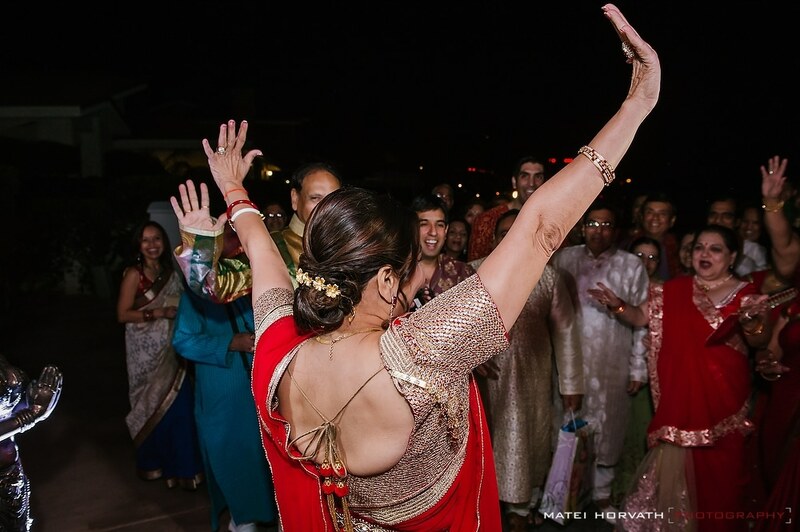 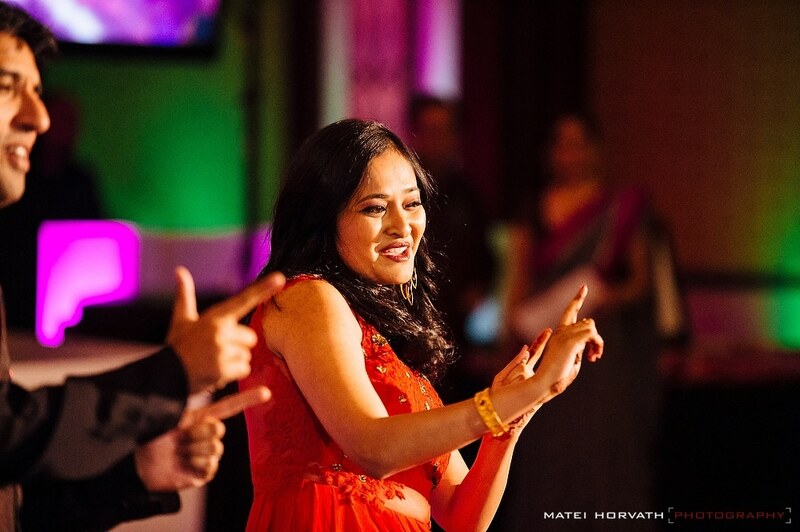 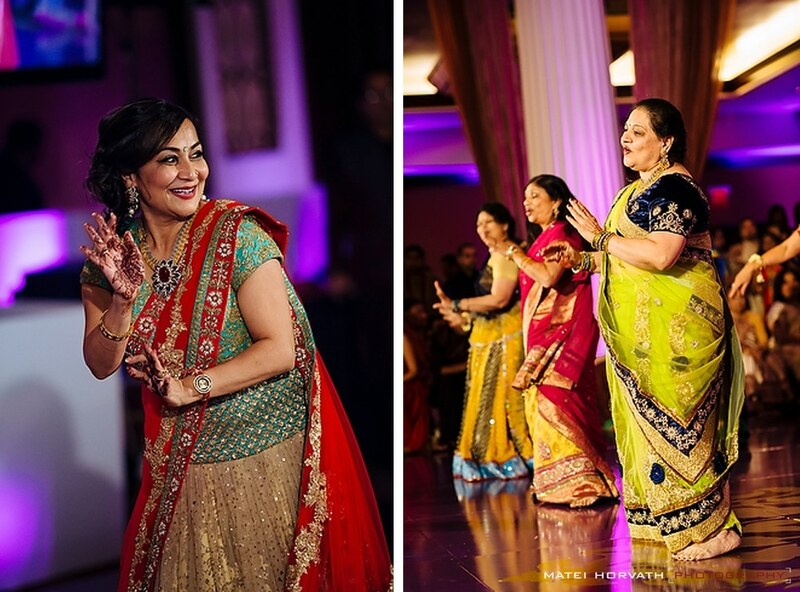 On Thursday we went towards the ocean for the Sangeet at the Hyatt Regency in Huntington Beach with an Indian Bollywood theme with live music, dancing and delicious food put together by Smita Mohindra and her team. 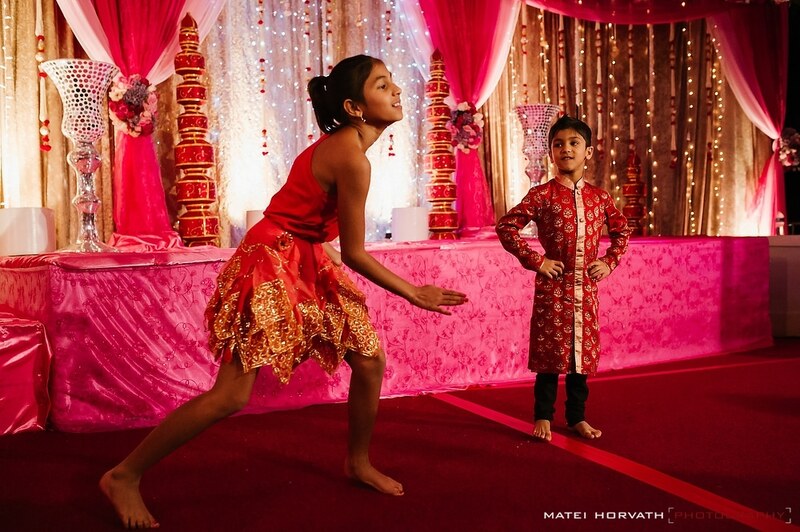 I was floored by the performances that both families put together several days in a row! 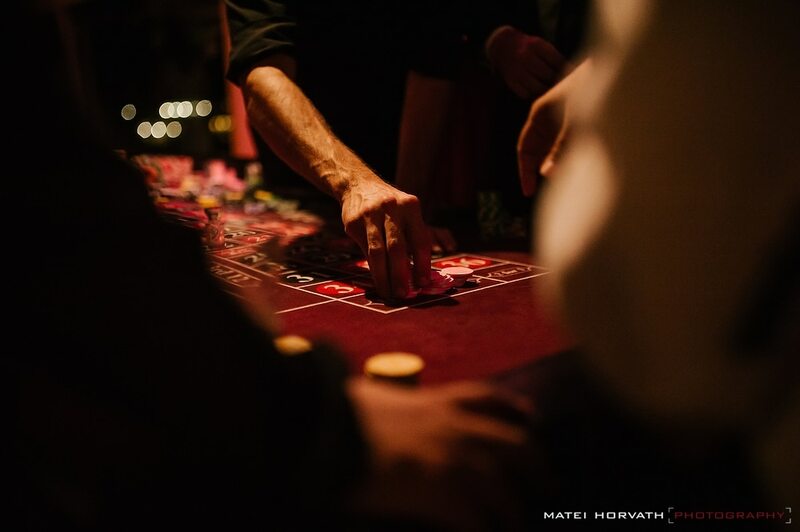 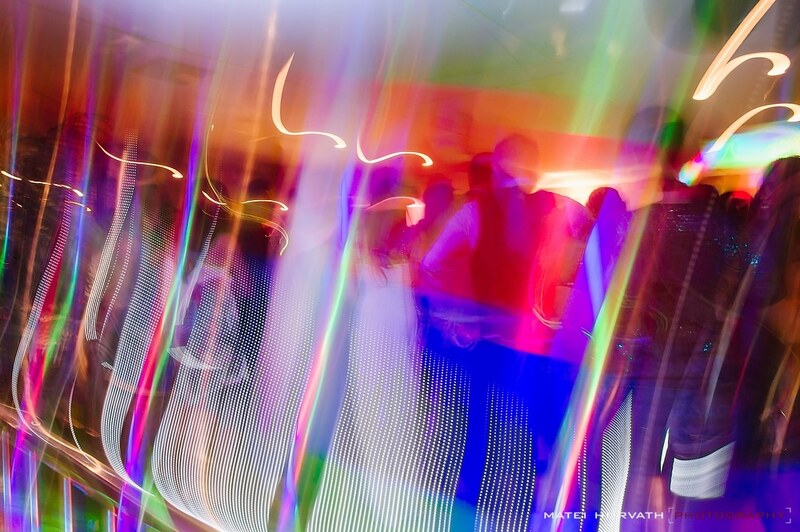 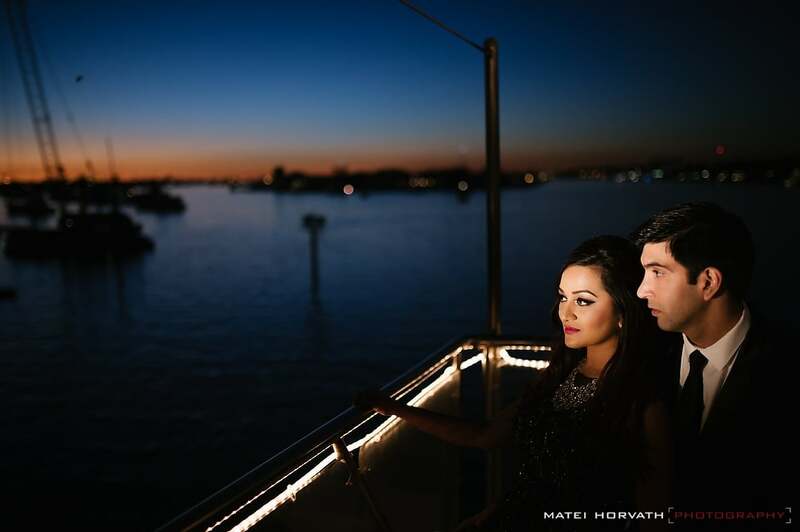 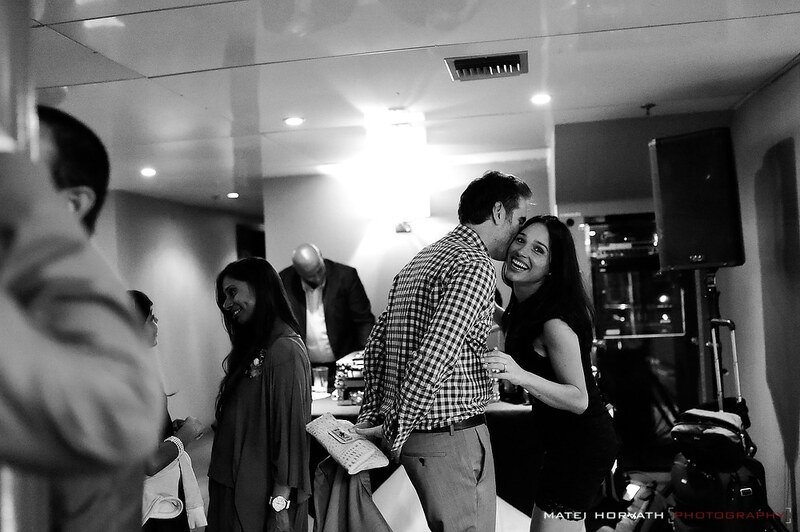 On Friday there were two parties: a Yacht Soiree created by Sheer Romance (can you say amazing?) 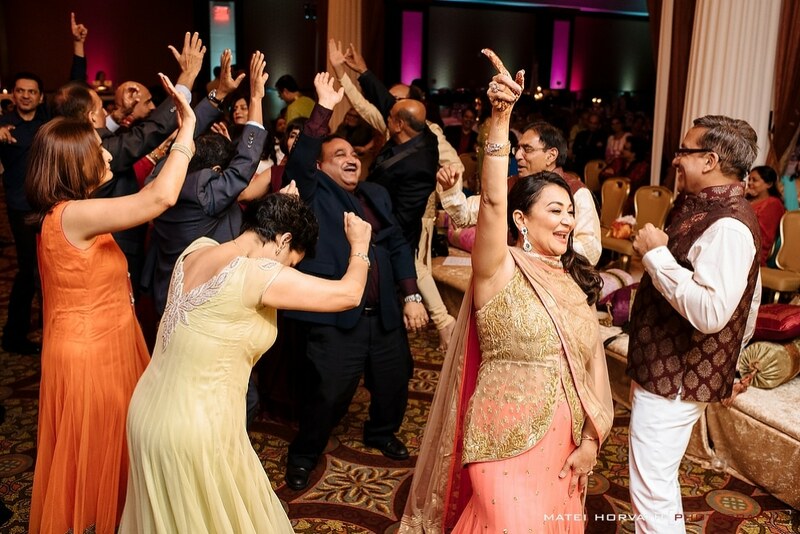 and a fun ‘Parents Party’ at the Hyatt before the wedding day on Saturday. 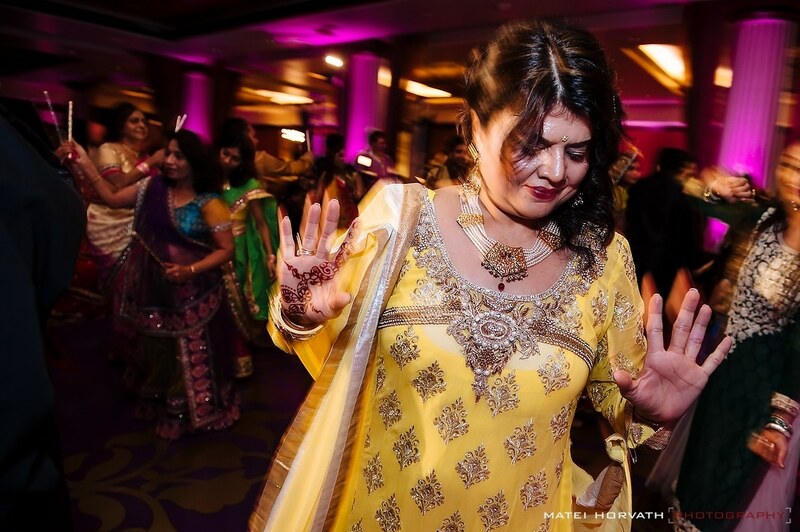 At the end of all this wedding extravaganza I ended up with so many great pictures that I had a very, very hard task to pick just a few for a blog post so I have divided everything in three posts: The Pre-Wedding Events, The Ceremony and Reception. 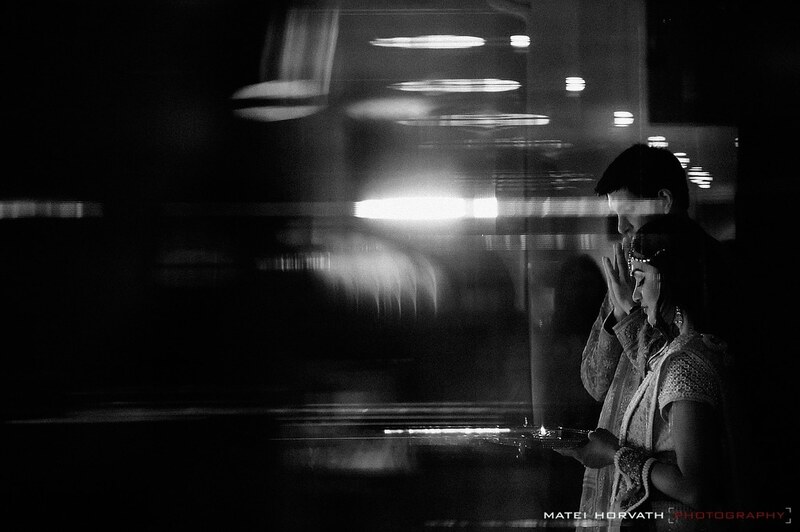 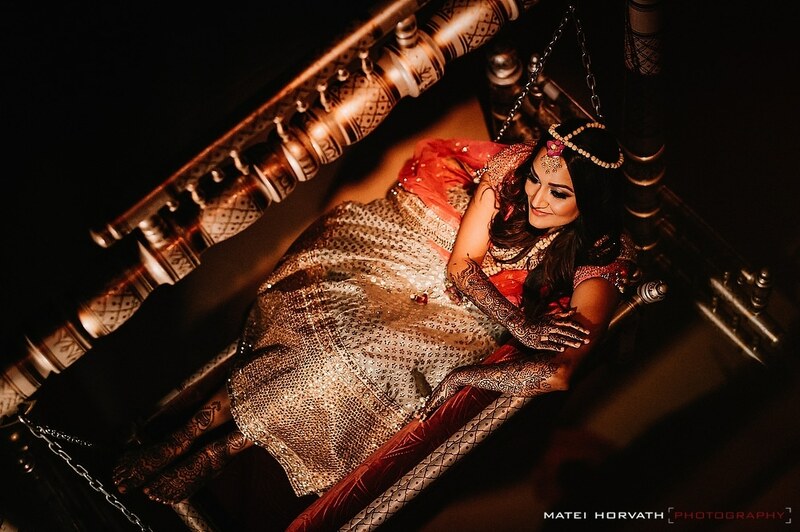 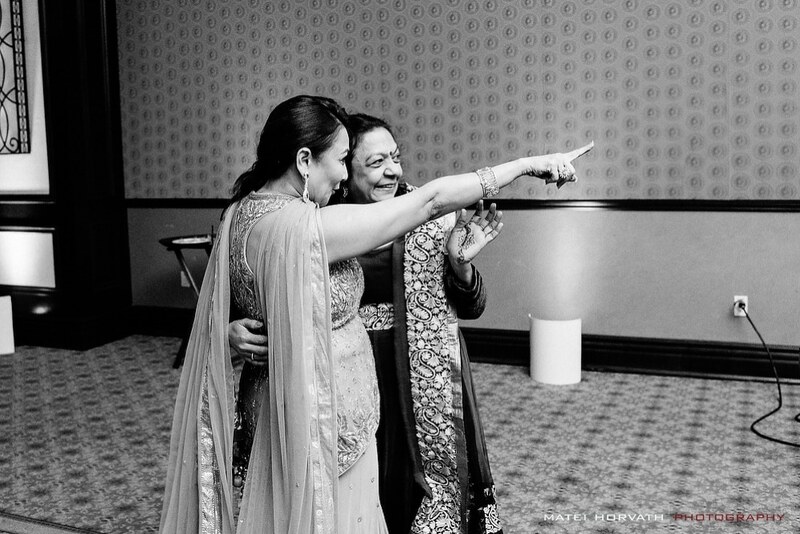 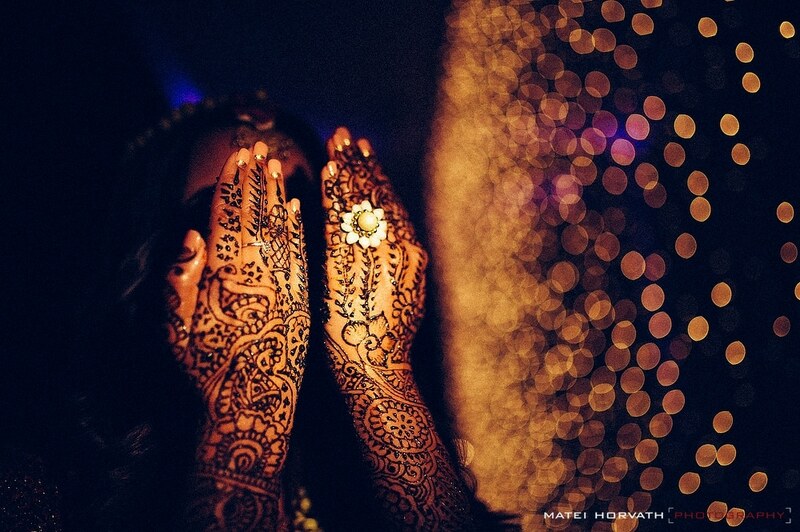 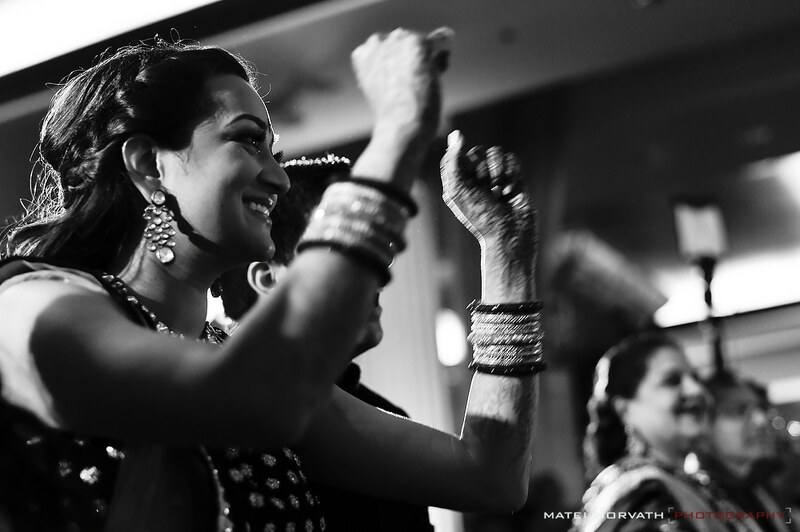 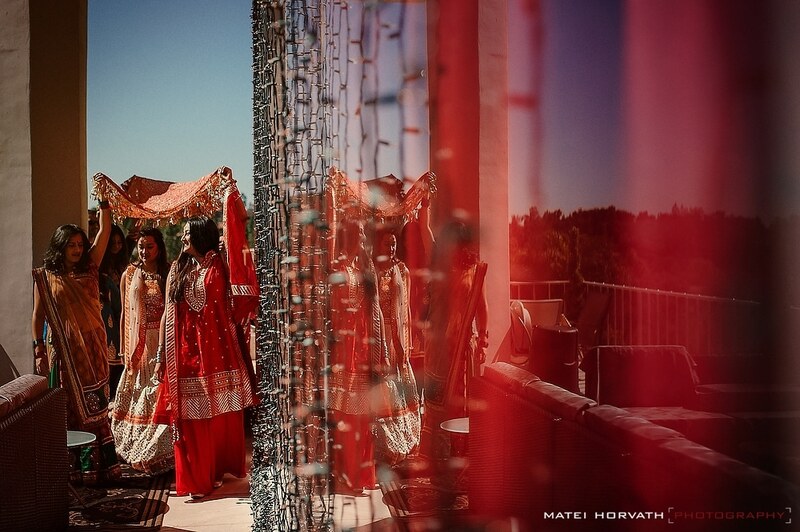 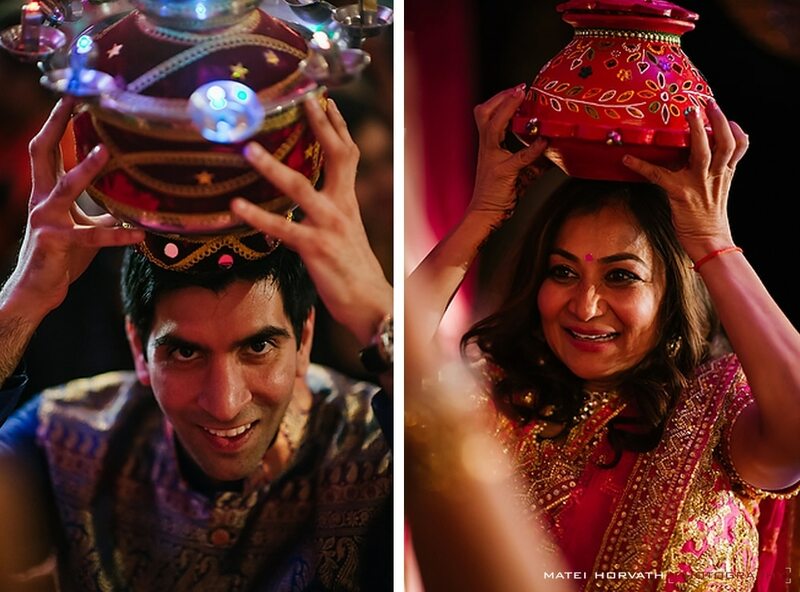 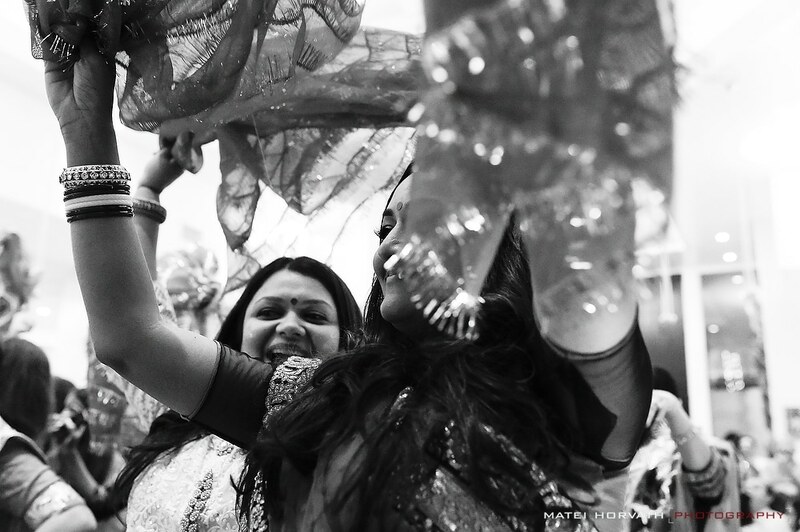 I hope you love these images as much as I loved shooting them… l will be posting the rest of this amazing Bollywood Wedding over the next couple of days so keep an eye out! 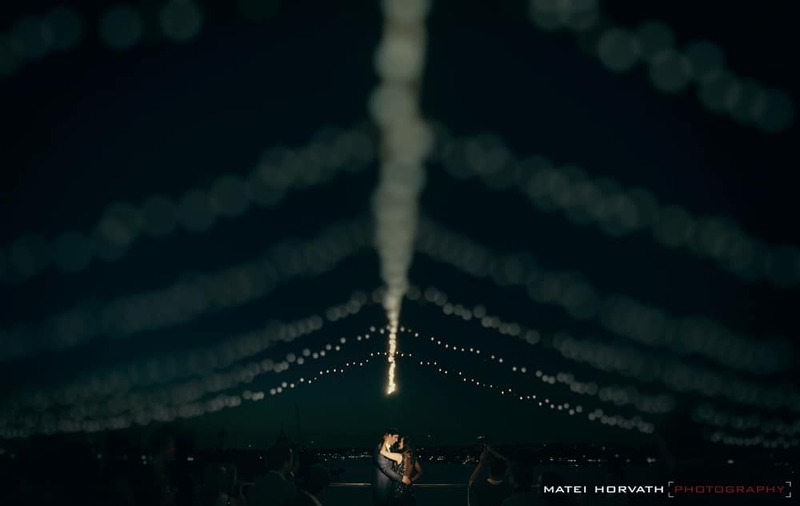 Thank You so much to the amazing Idena Beach, Attila Iuhasz and Jennifer Lourie Tapp for all your hard work as second shooters. 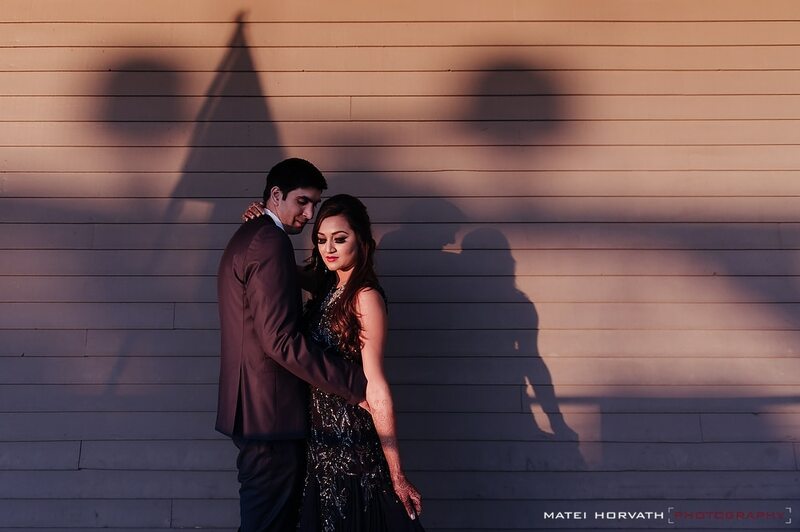 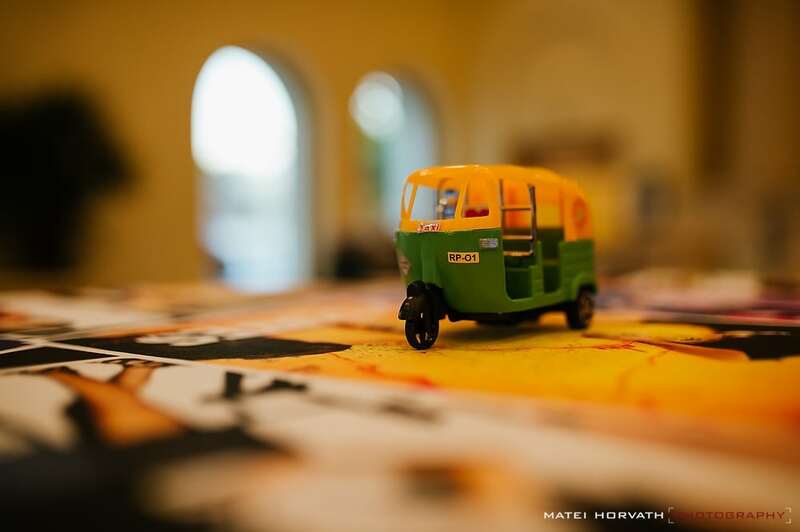 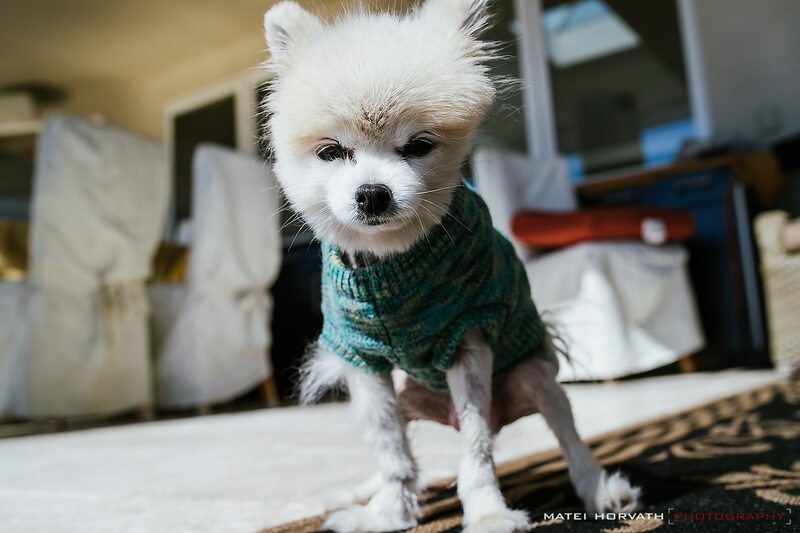 Some of the images in this blog post are shot by them! 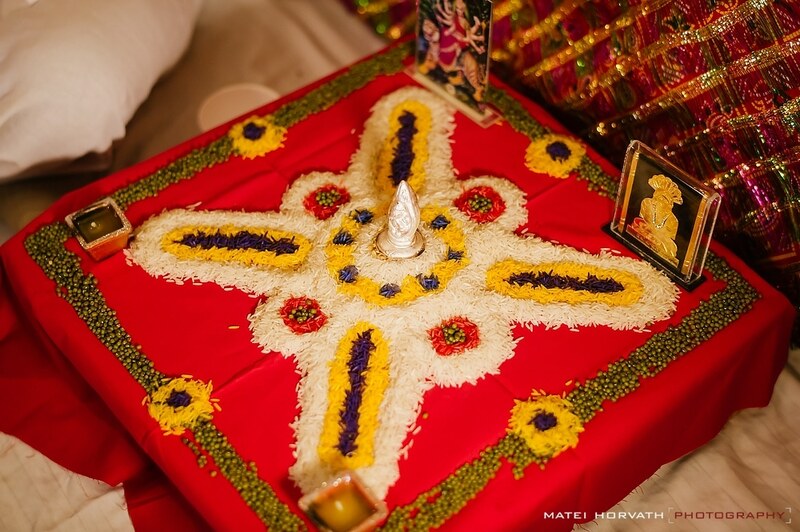 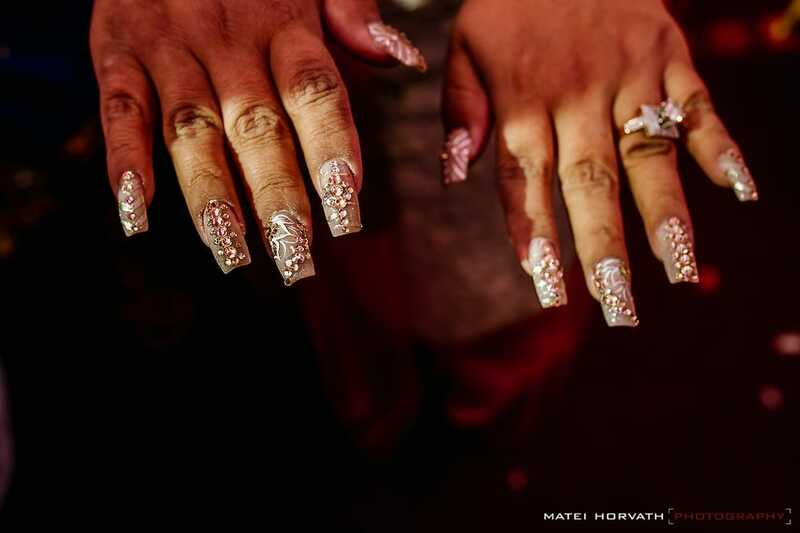 Pitthi for the future bride! 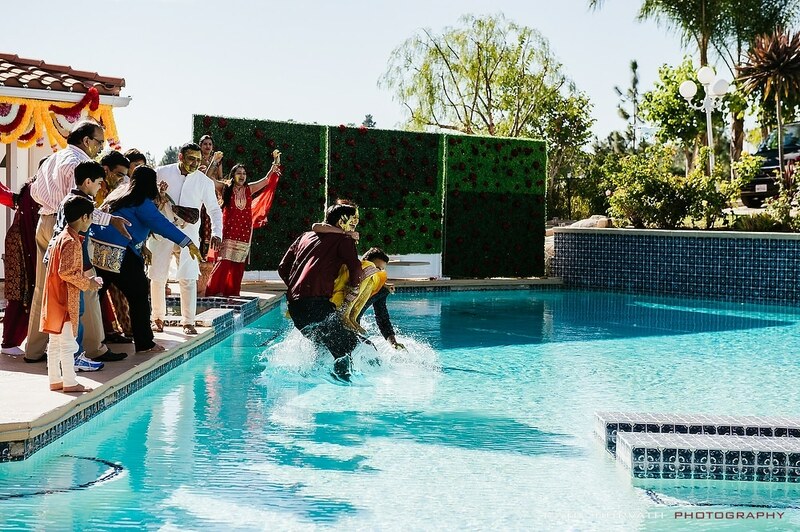 The bride’s and groom’s families jump in the pool. 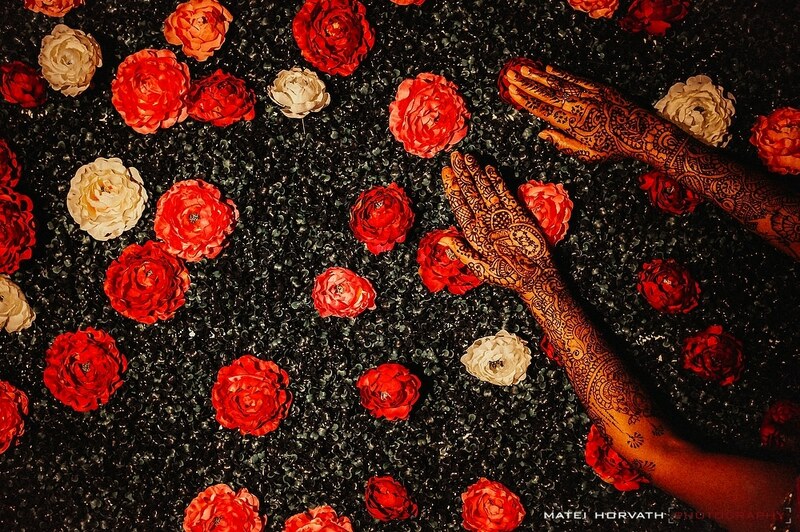 A custom flower wall and a custom mend design.